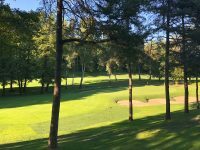 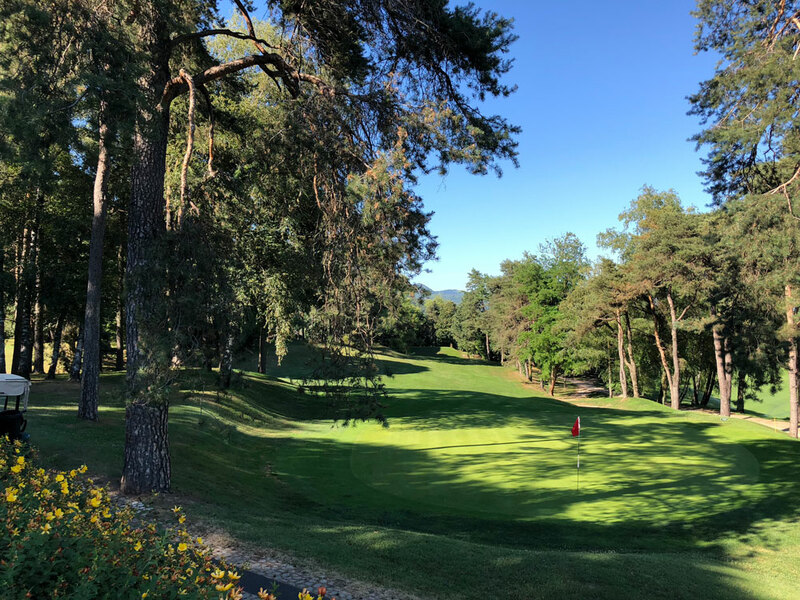 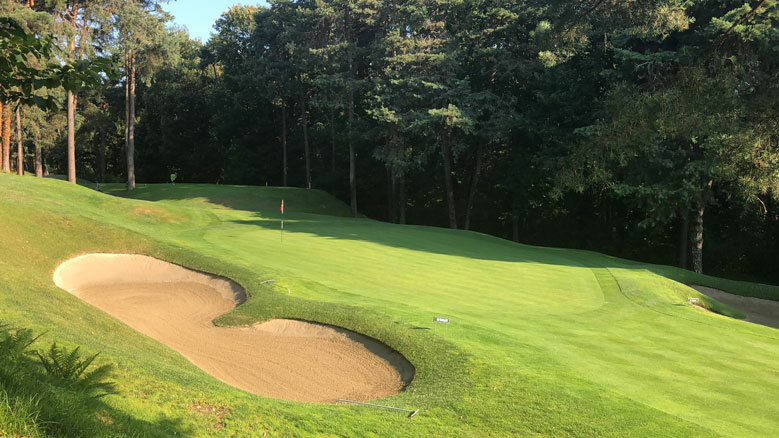 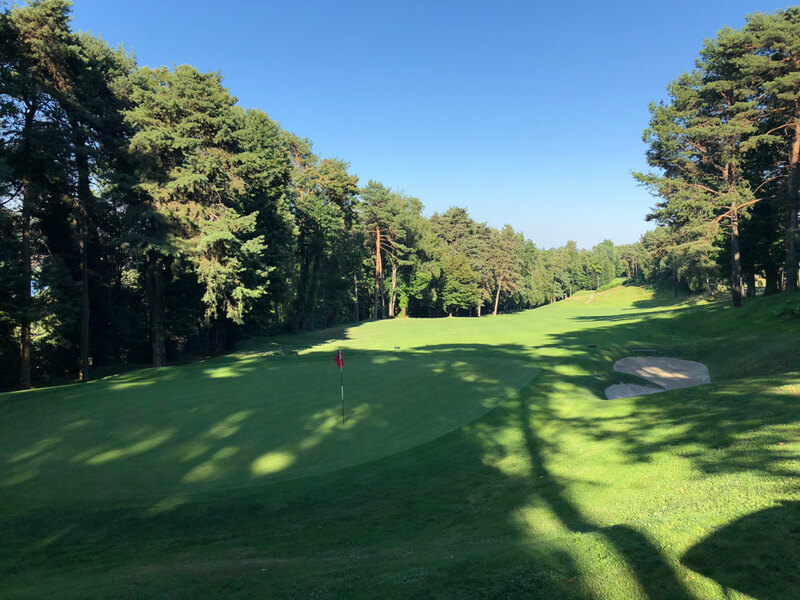 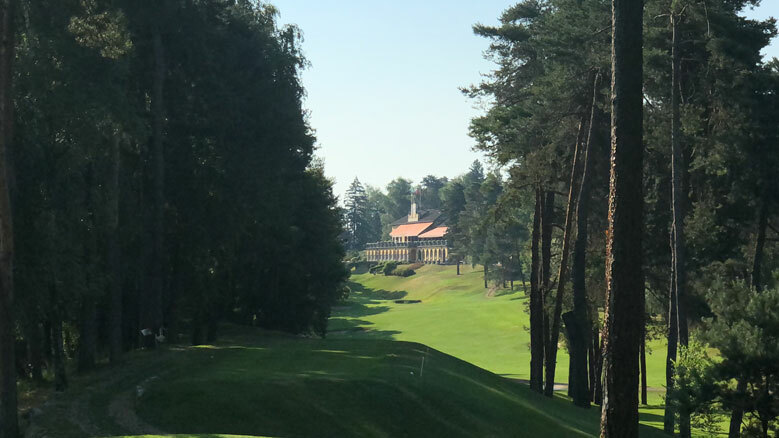 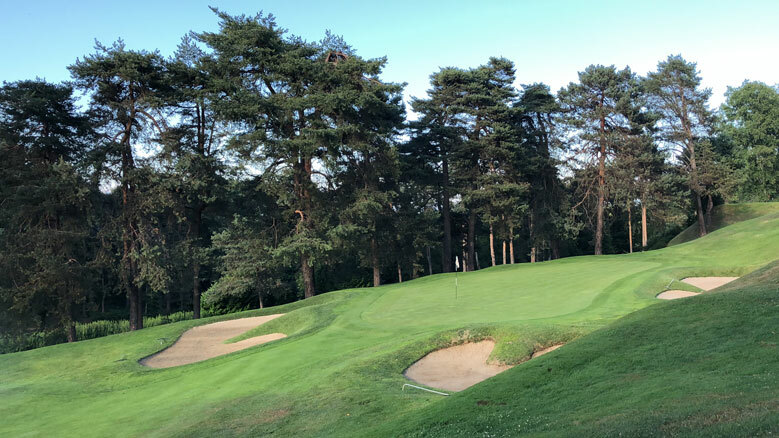 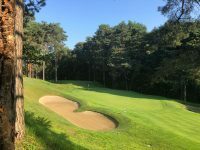 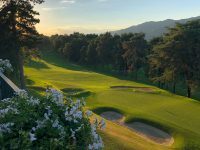 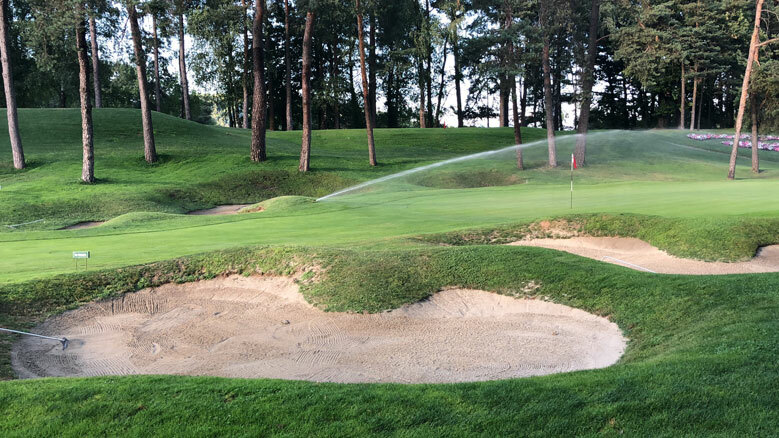 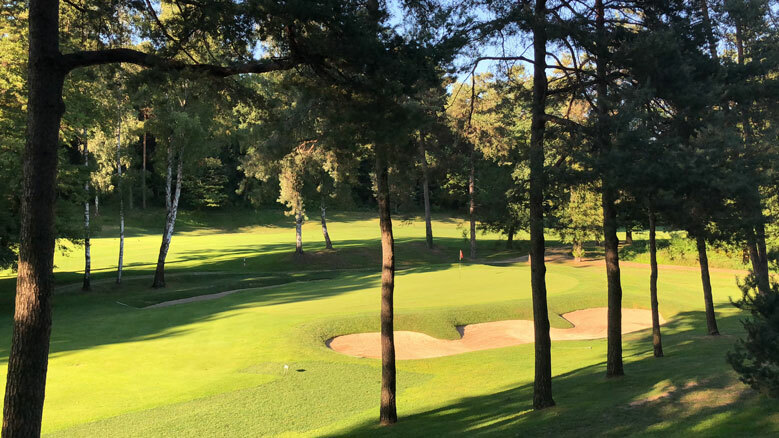 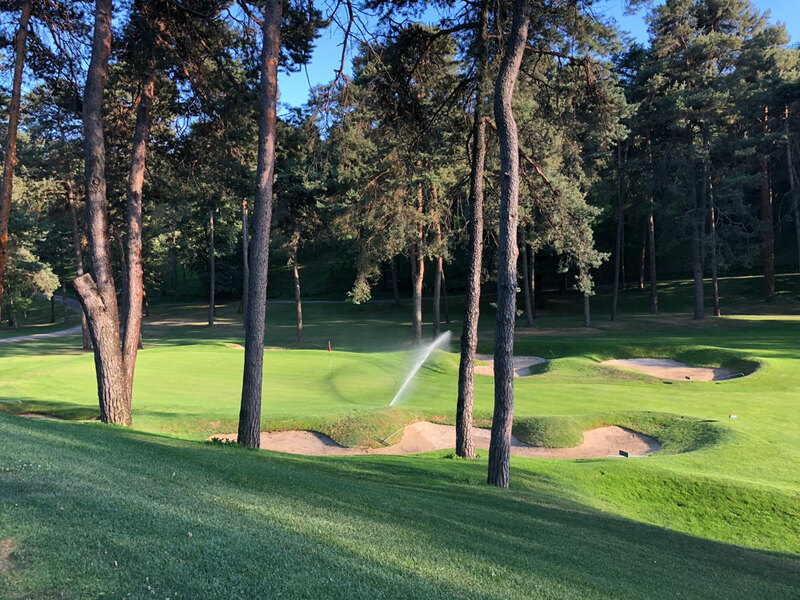 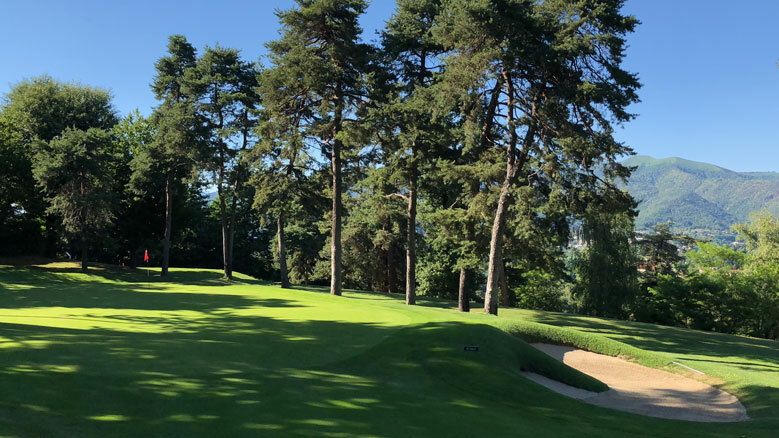 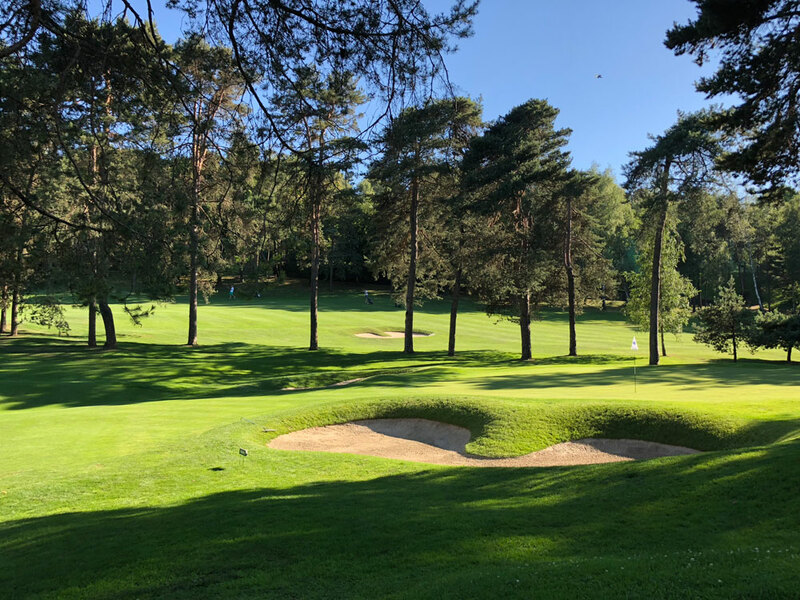 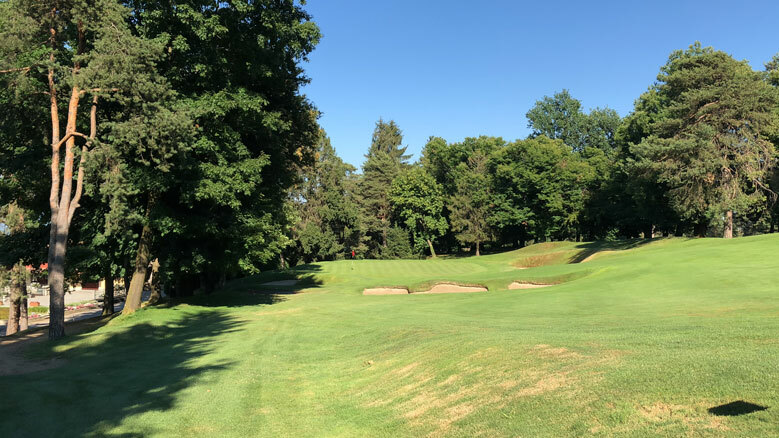 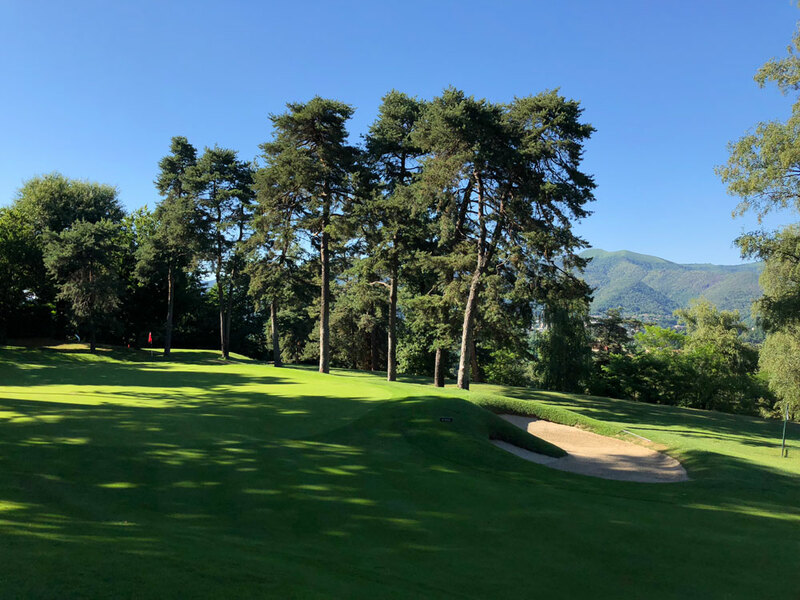 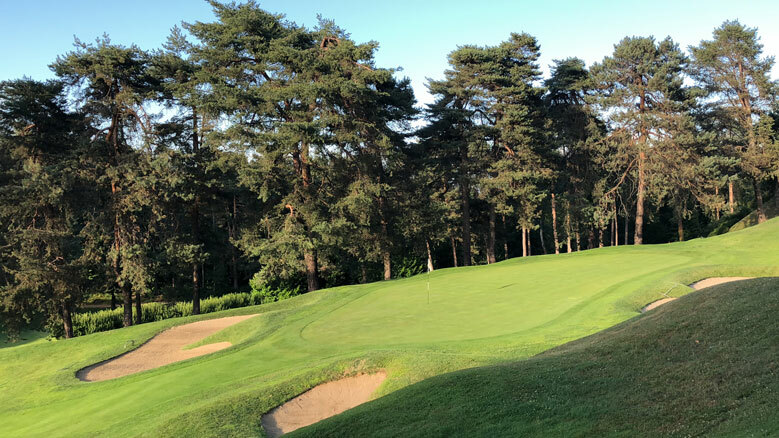 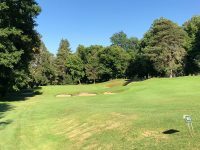 Italy’s long-standing #1-ranked course both in terms of course quality and overall Italian golf experience is Circolo Golf Villa d’Este, or more simply Villa d’Este Golf Club. 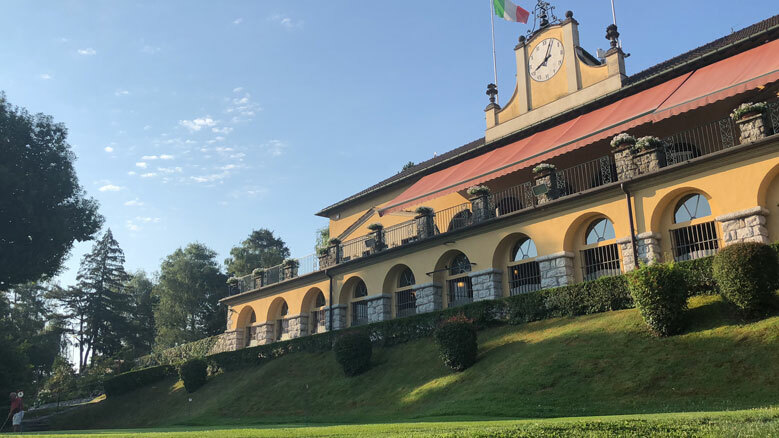 Villa d’Este Golf Club exudes class from the moment one arrives. 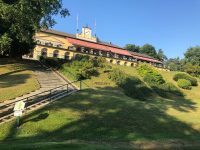 This is no surprise considering that for many decades the club was owned by the famous Villa d’Este resort on Lake Como which is thought by nearly everyone to be nothing less than the finest resort in all of Italy! 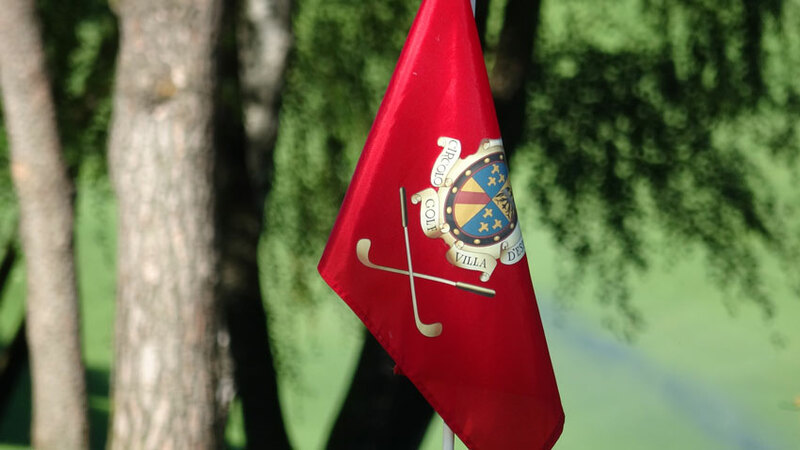 The club became independent from the resort back in the 1970s but the tradition endures. 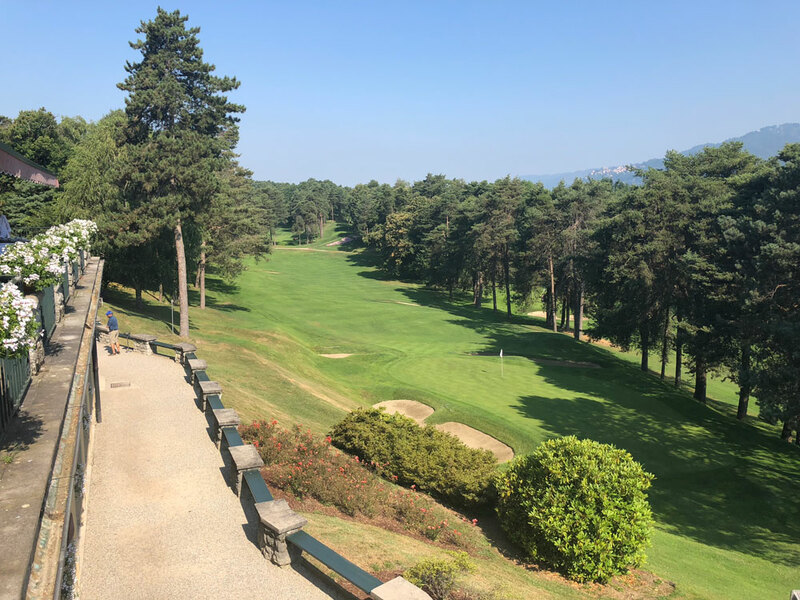 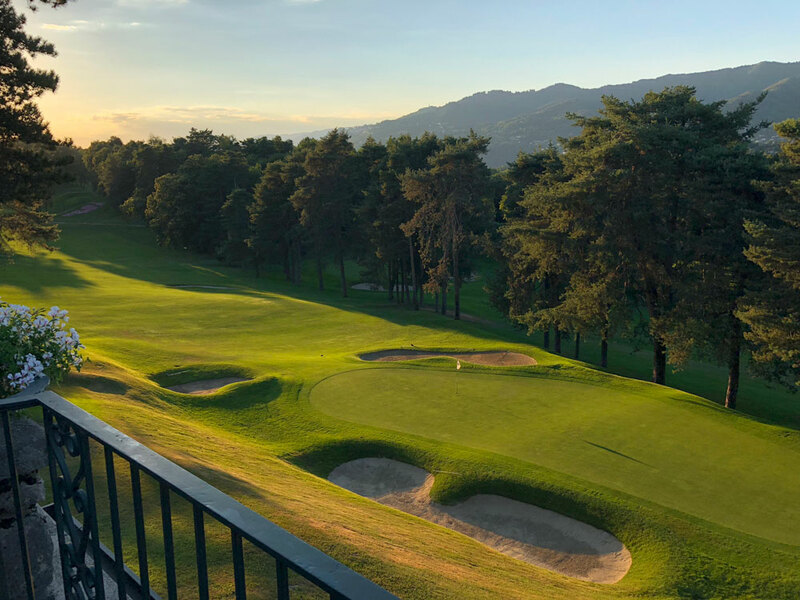 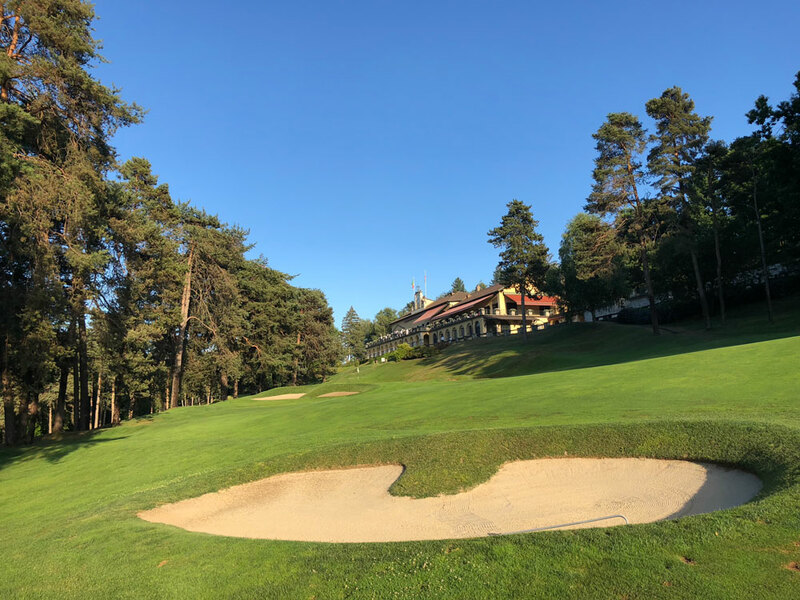 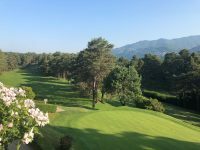 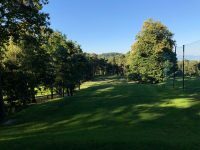 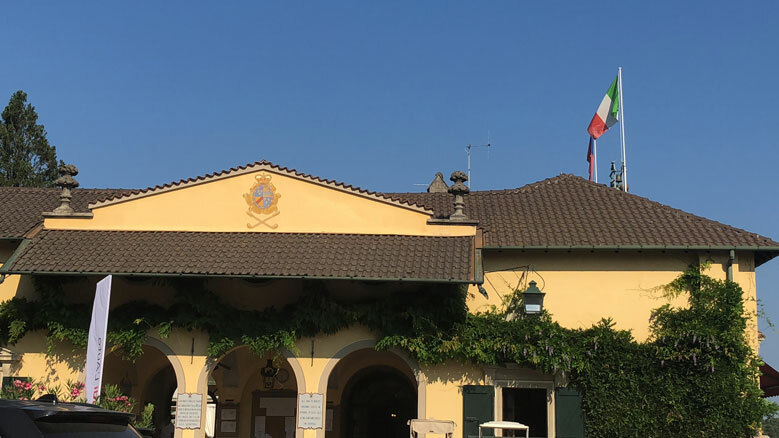 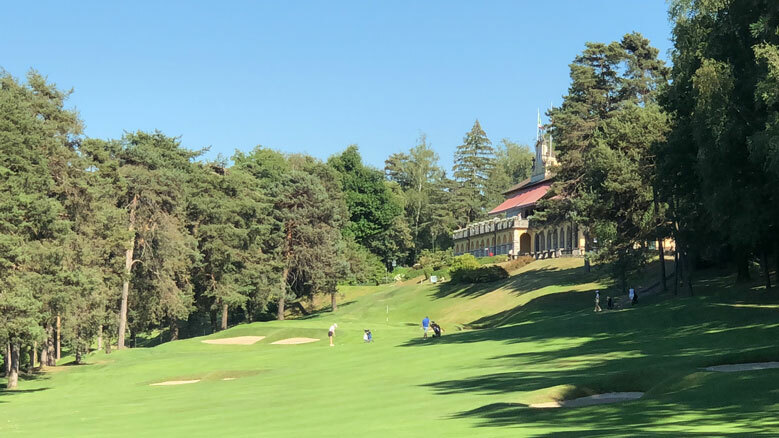 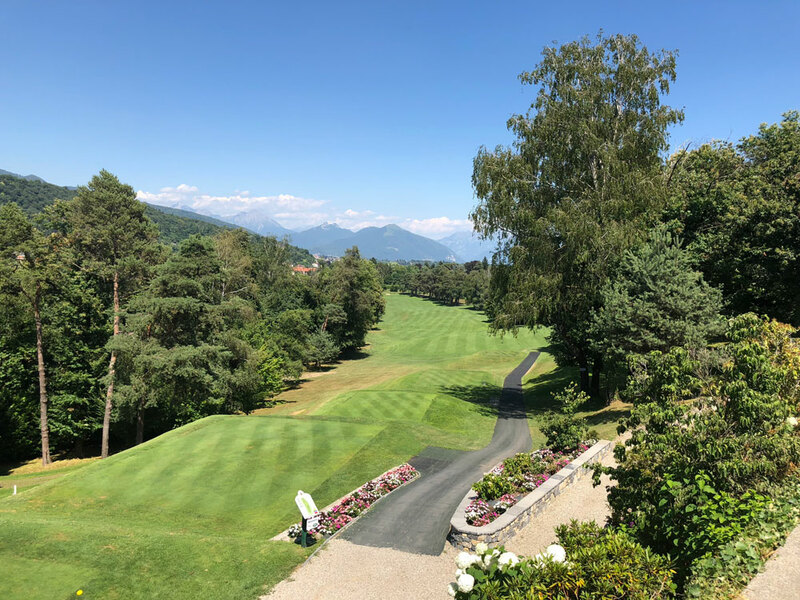 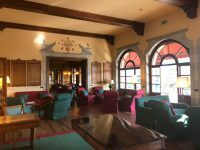 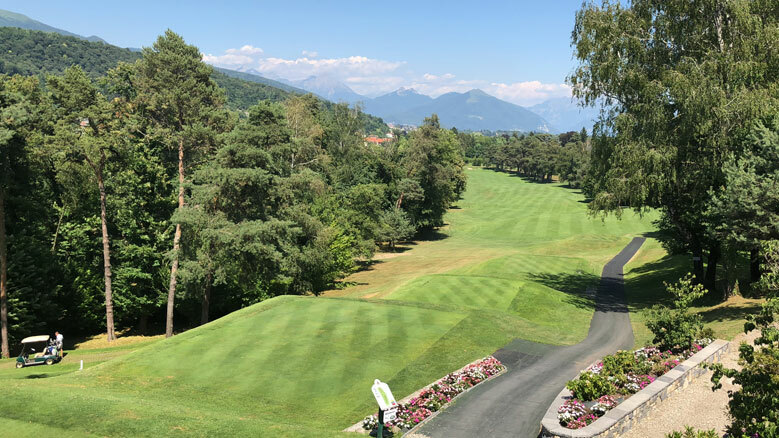 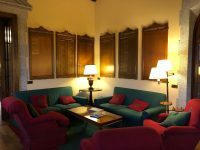 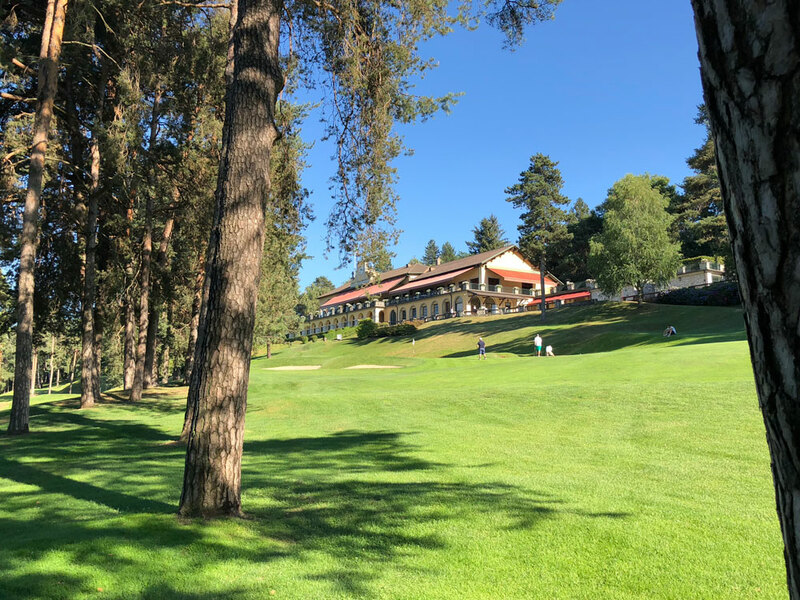 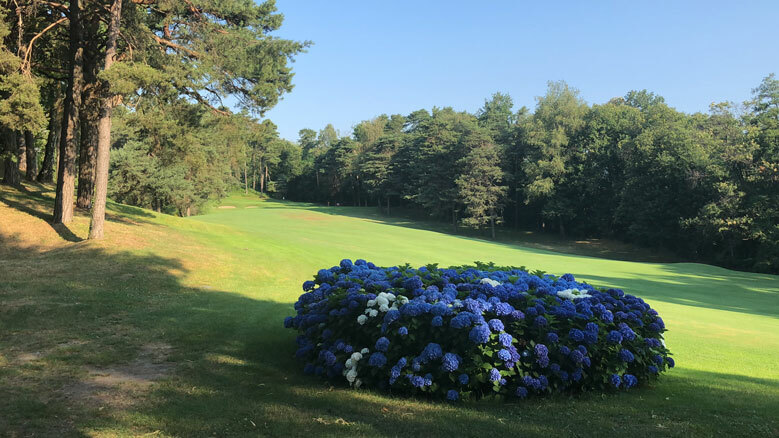 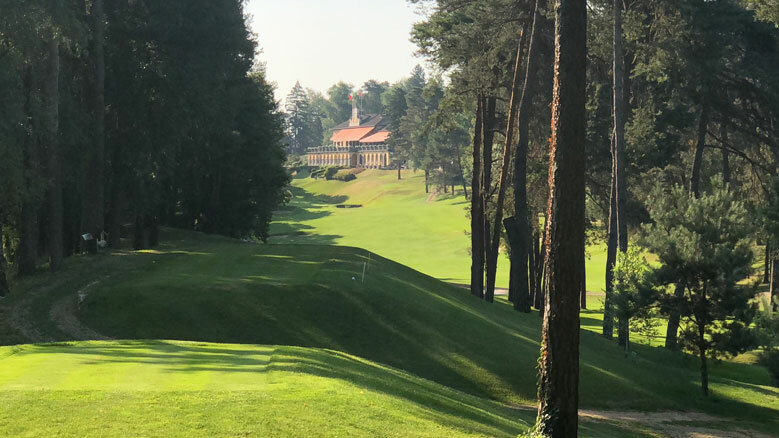 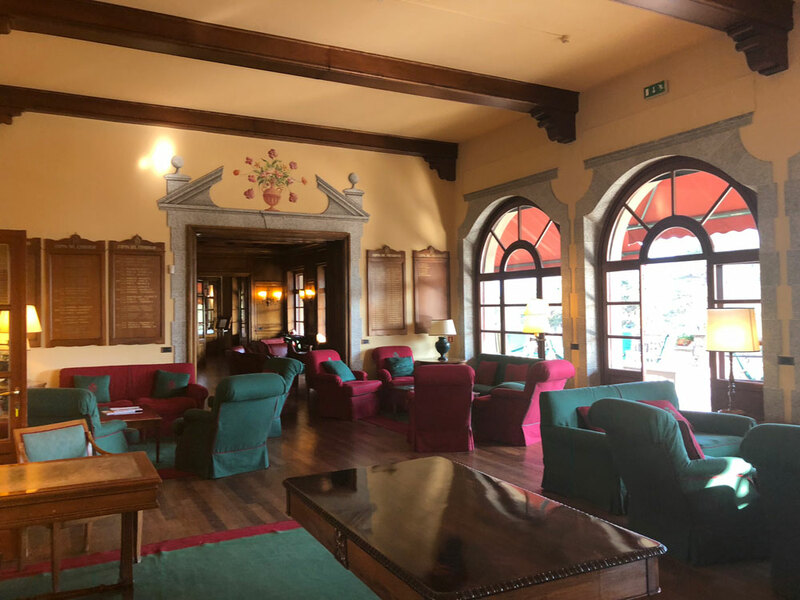 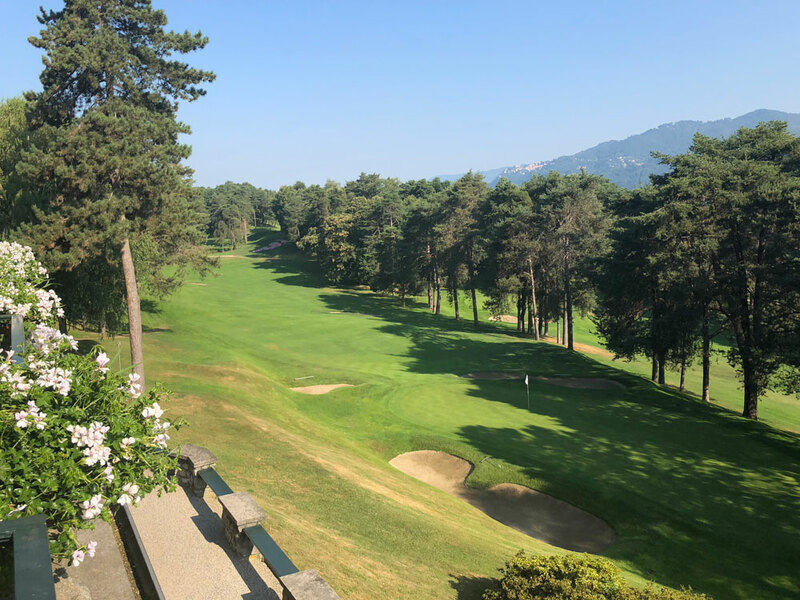 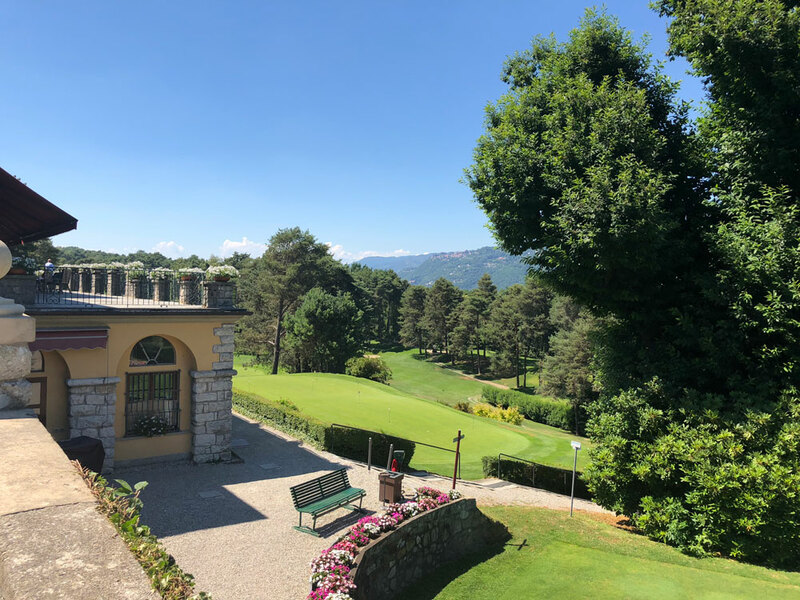 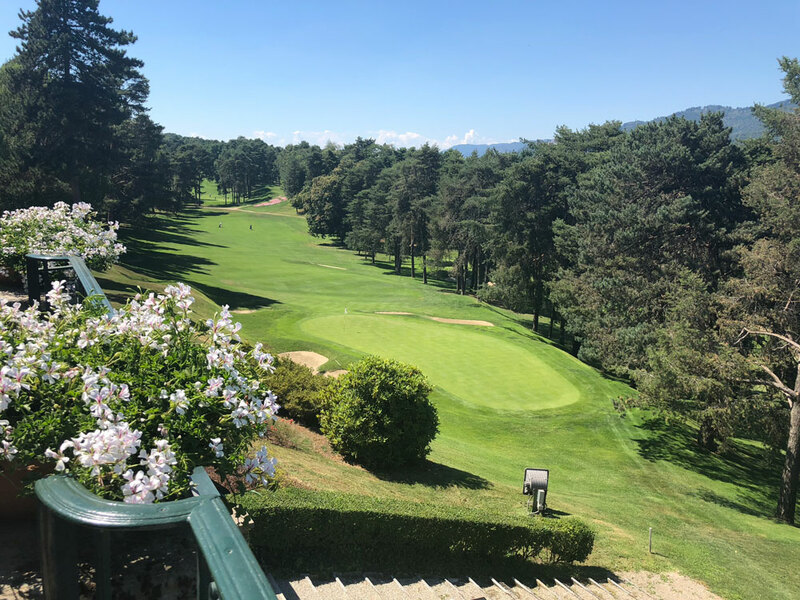 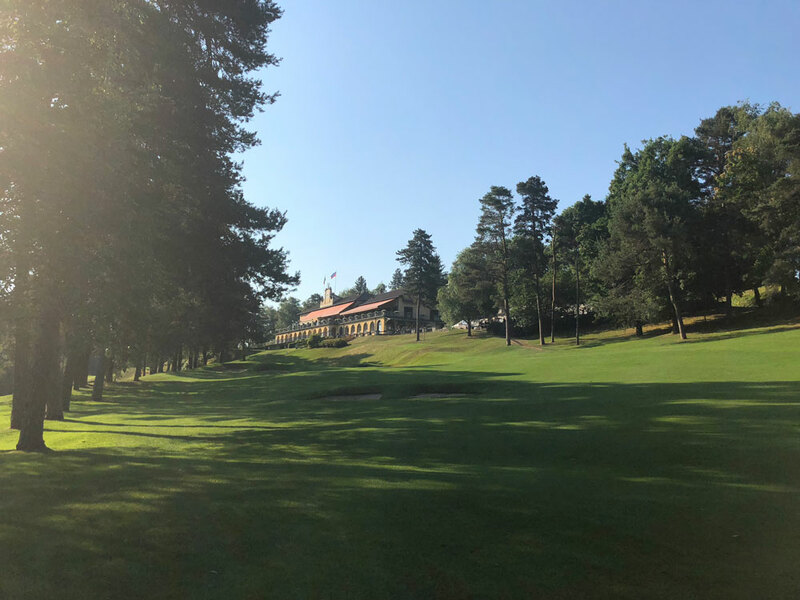 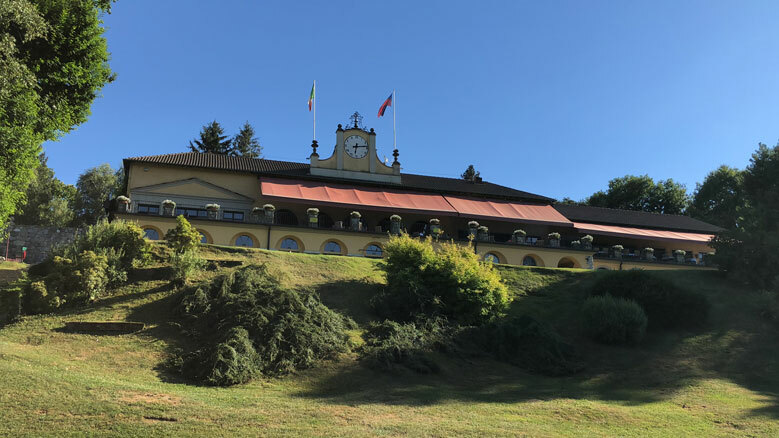 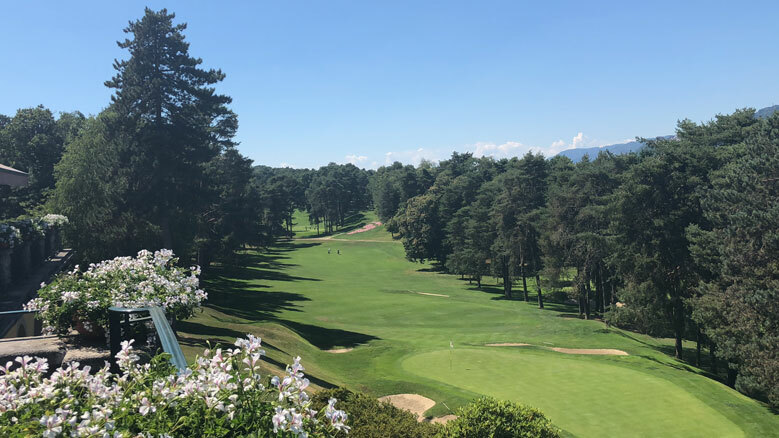 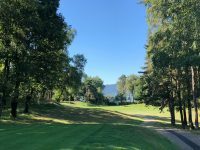 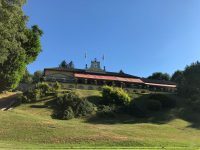 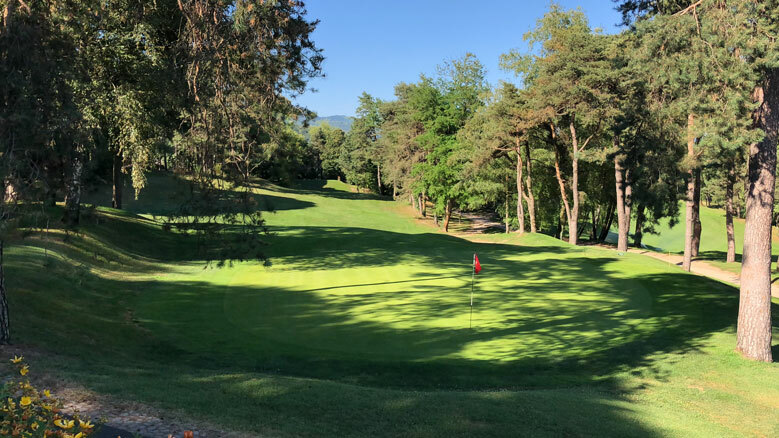 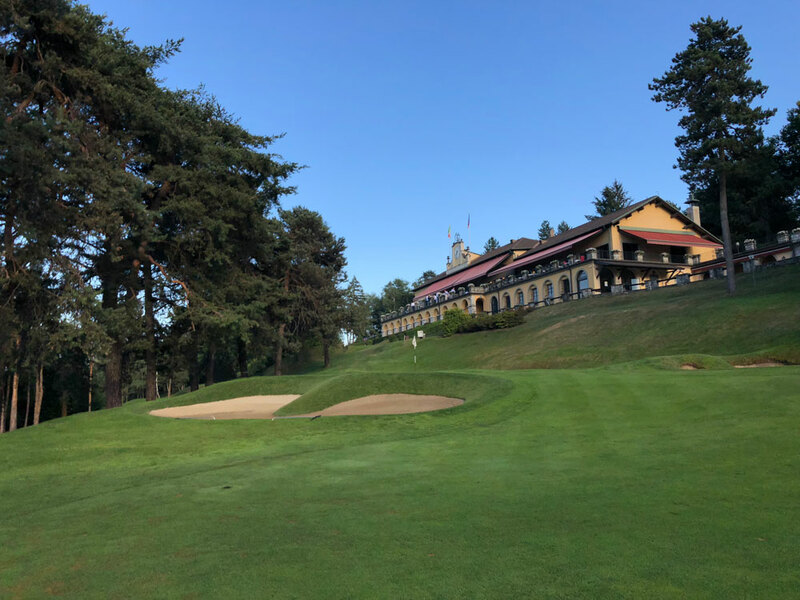 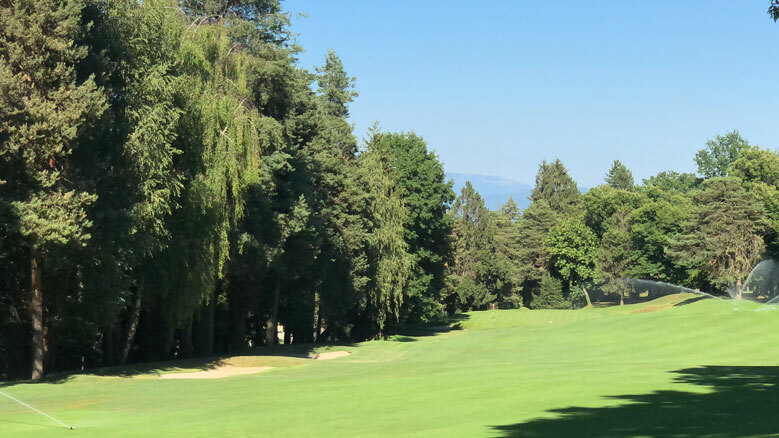 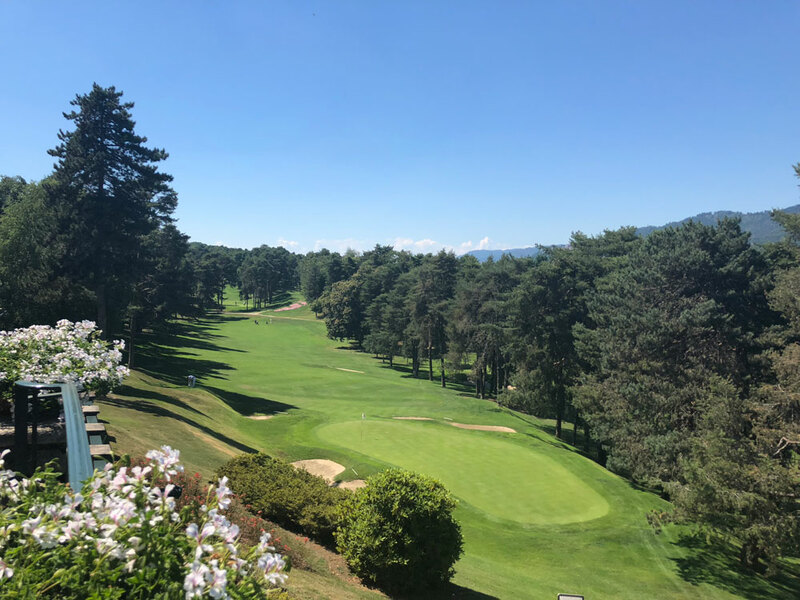 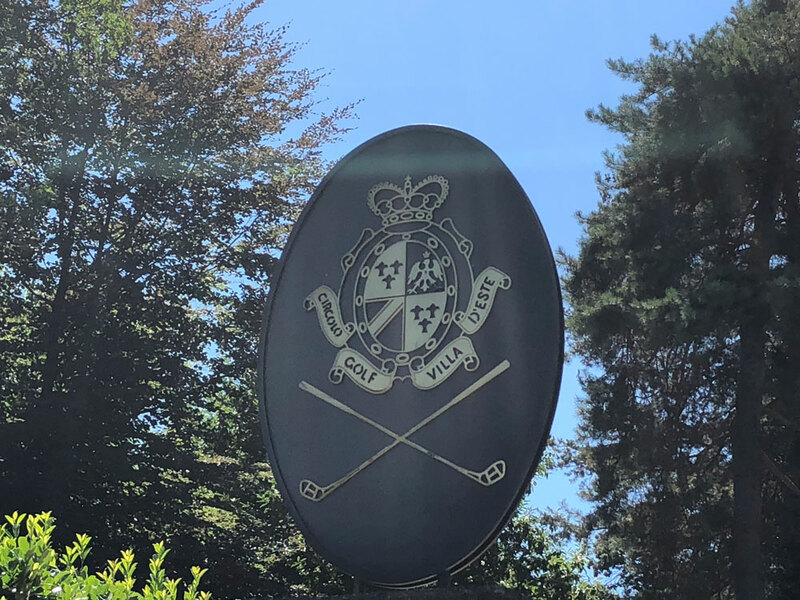 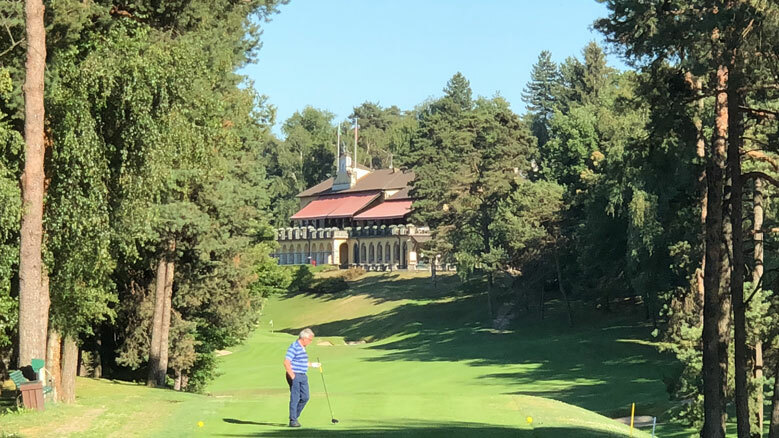 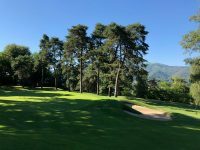 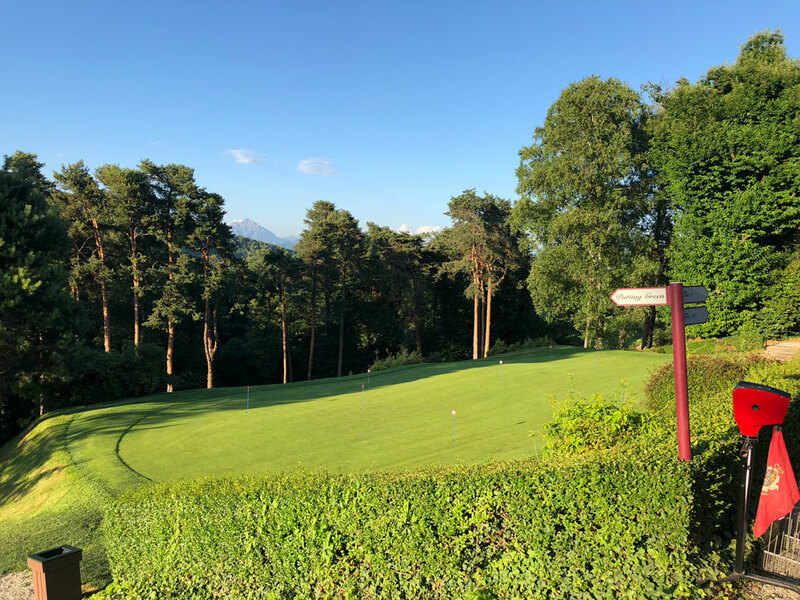 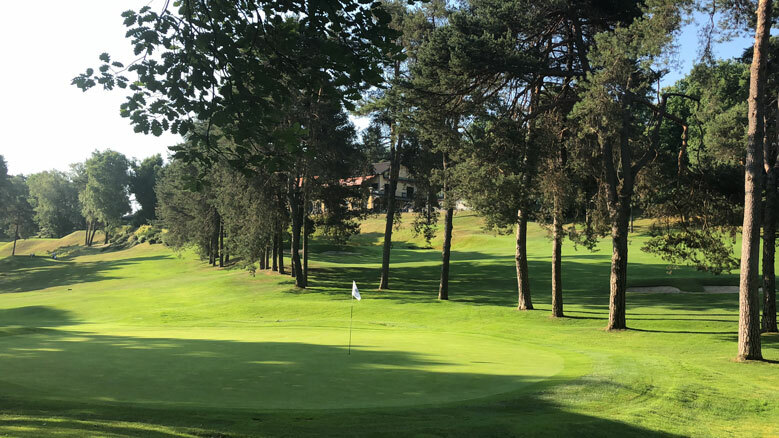 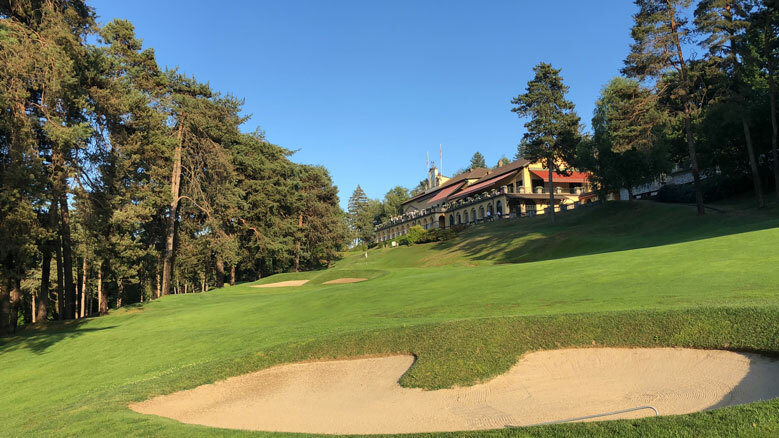 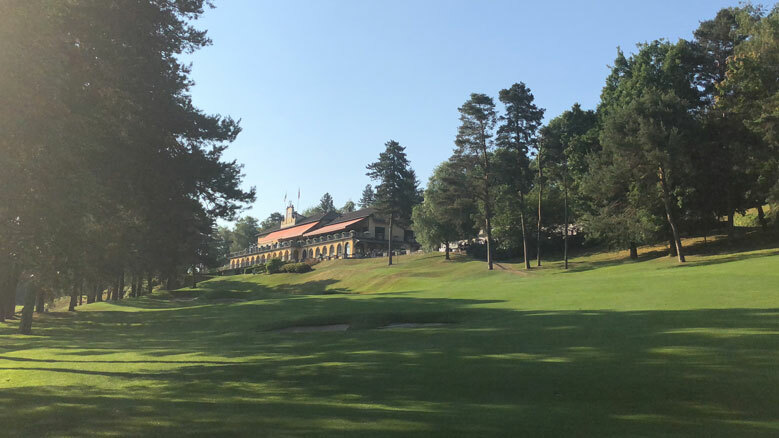 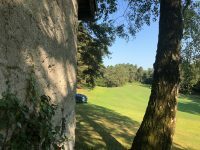 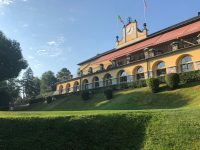 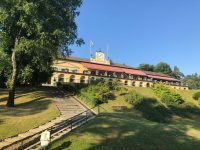 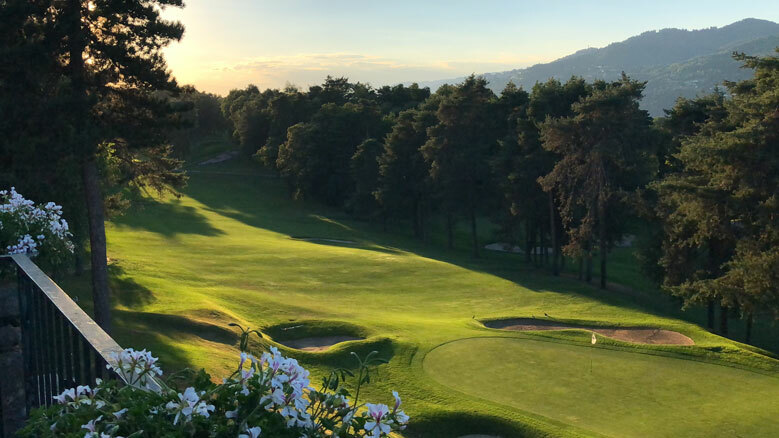 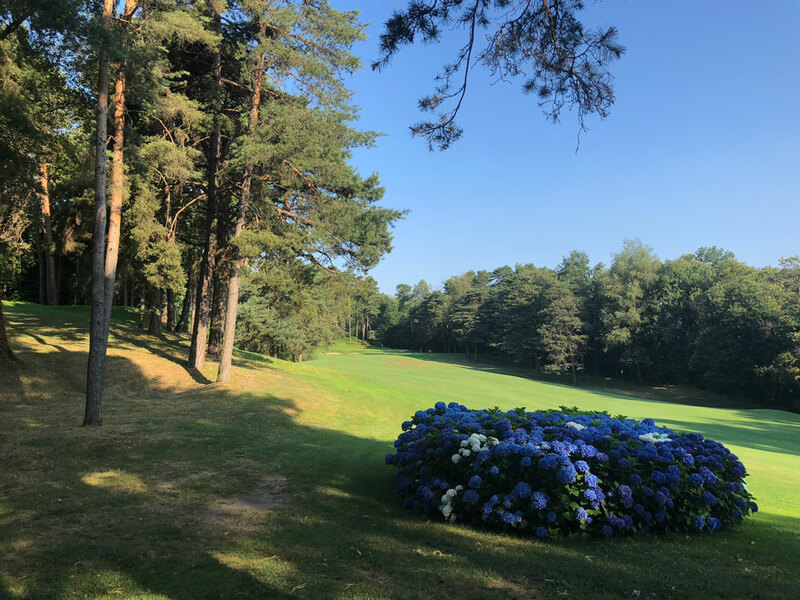 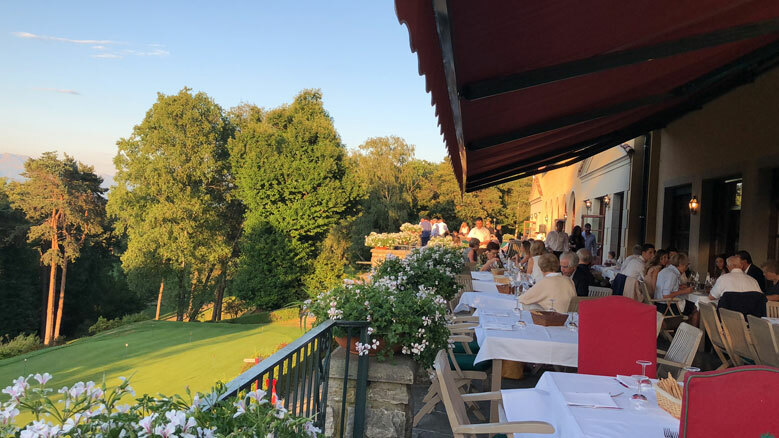 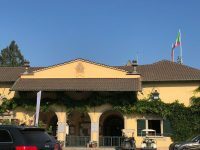 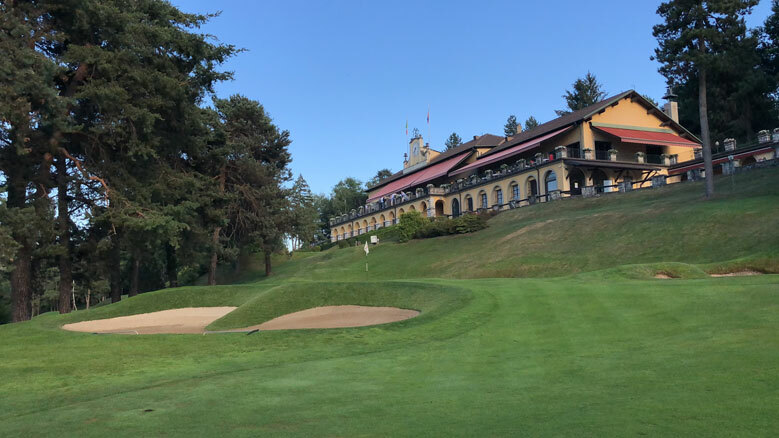 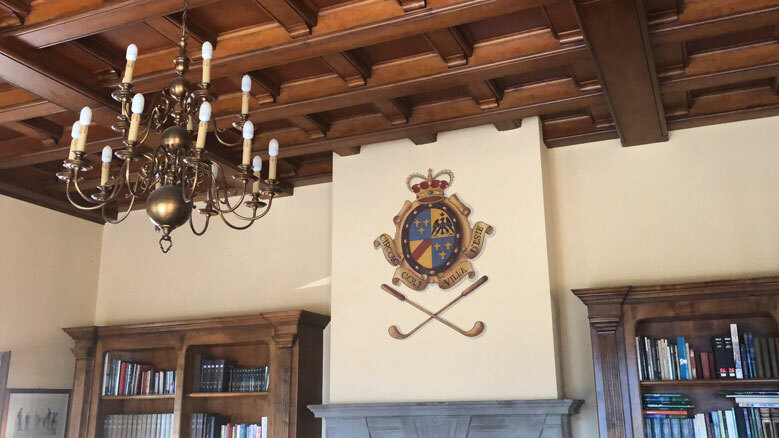 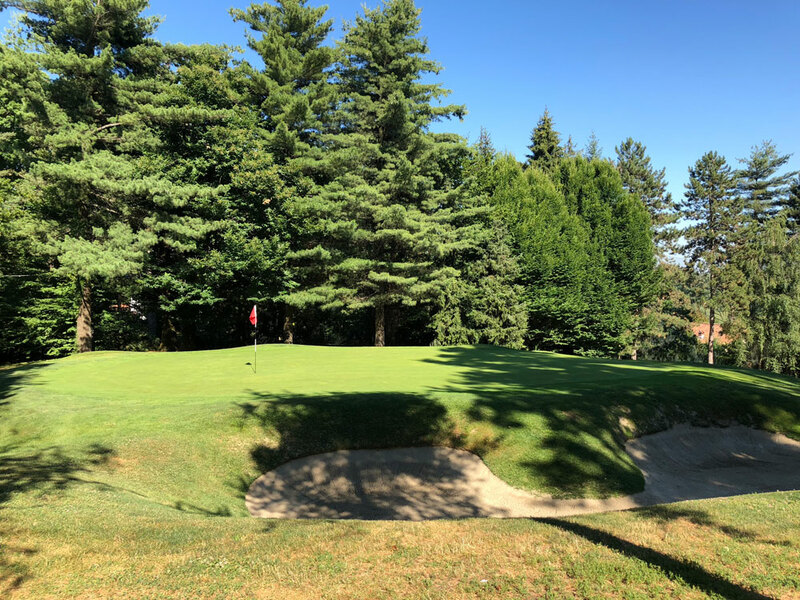 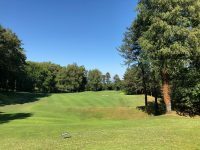 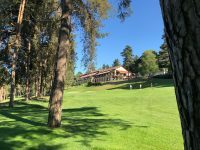 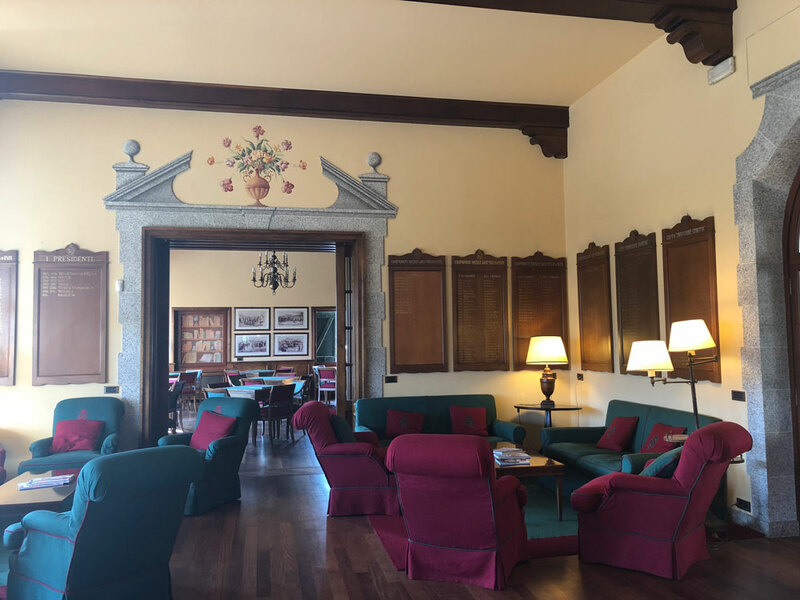 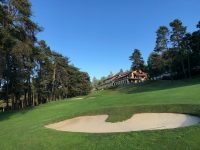 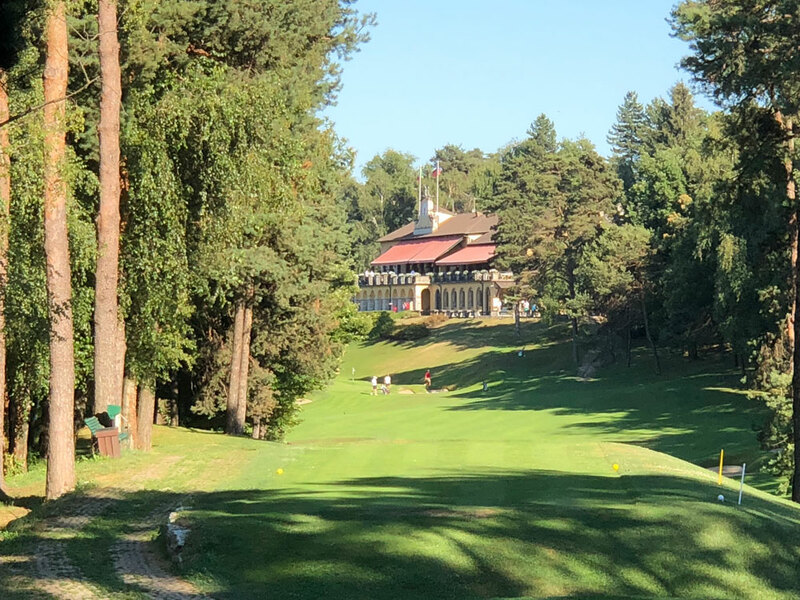 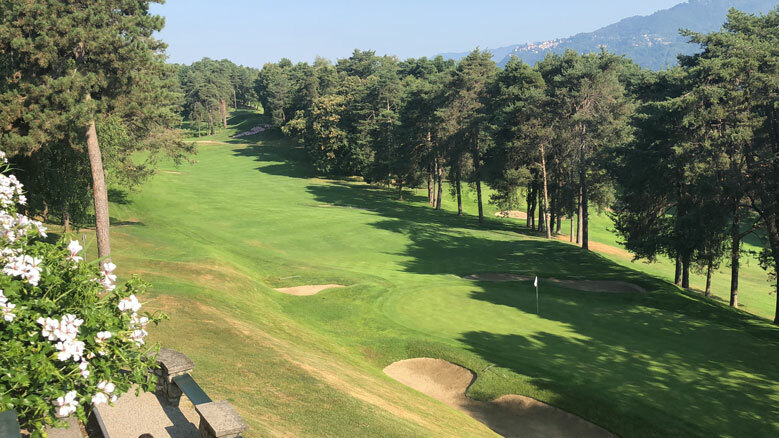 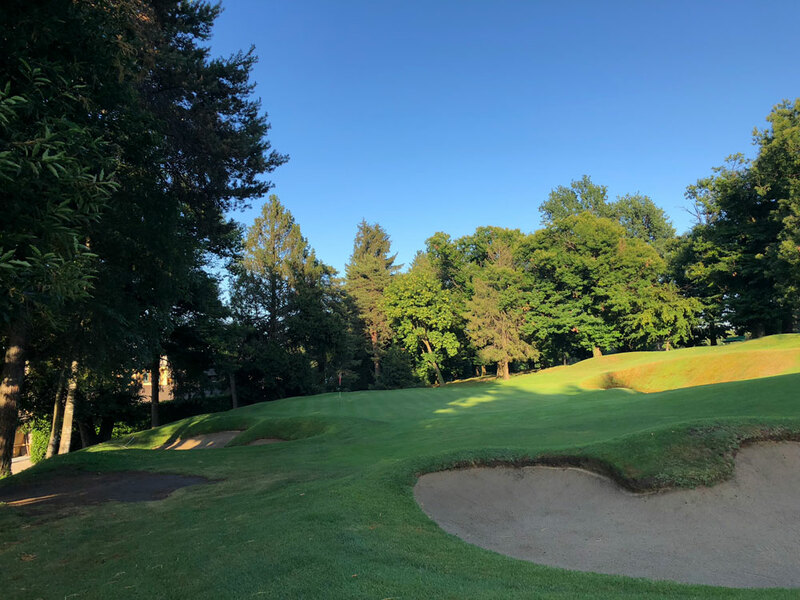 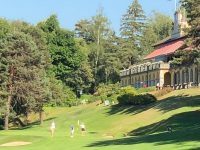 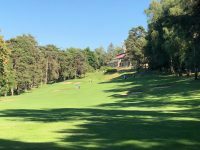 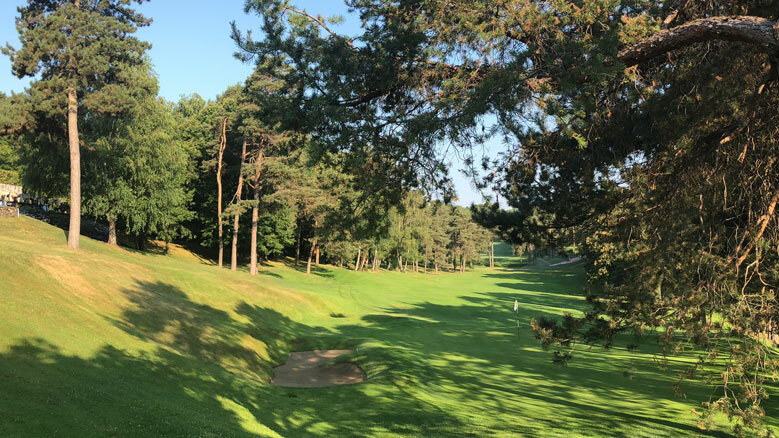 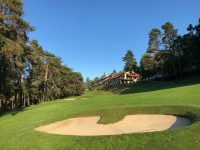 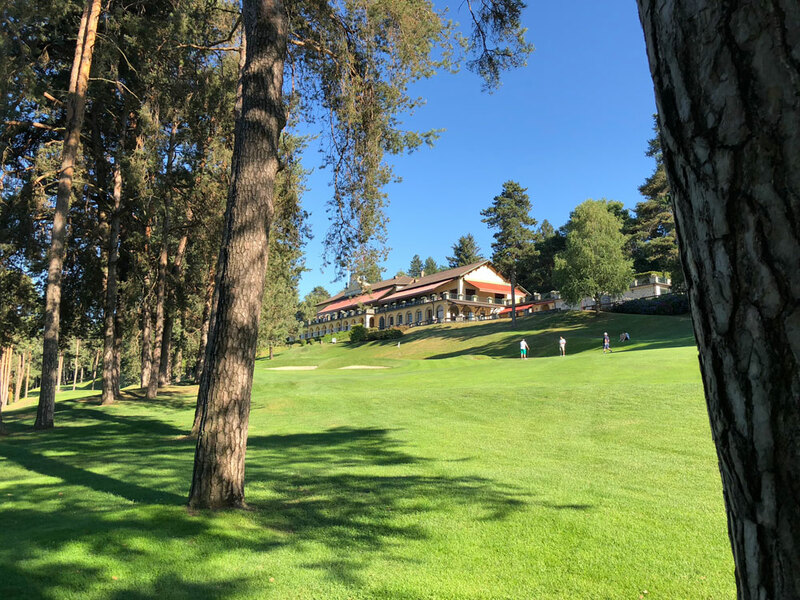 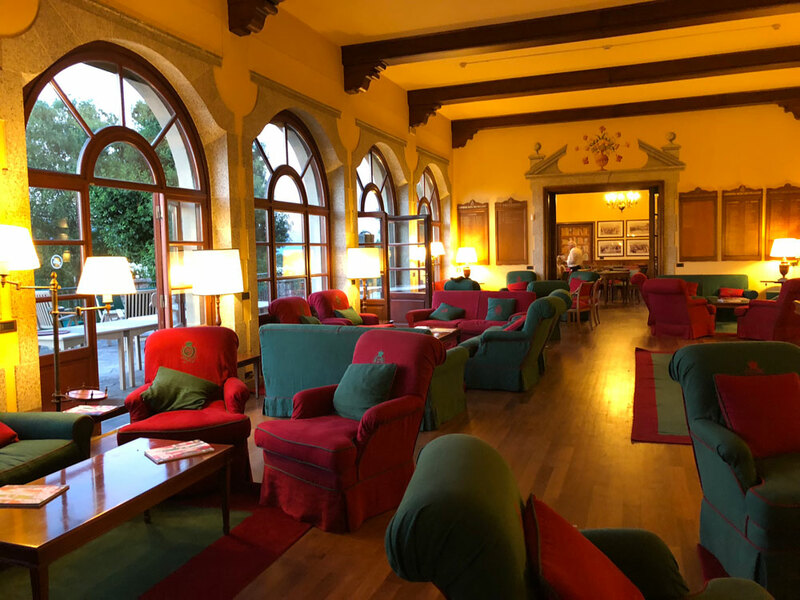 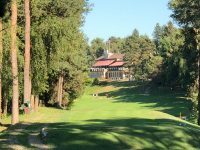 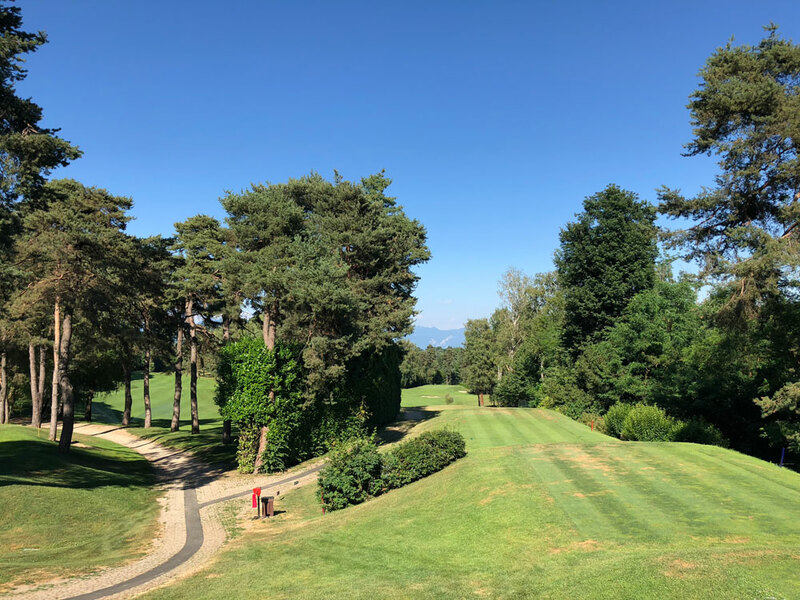 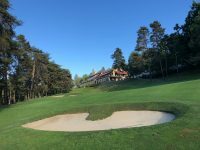 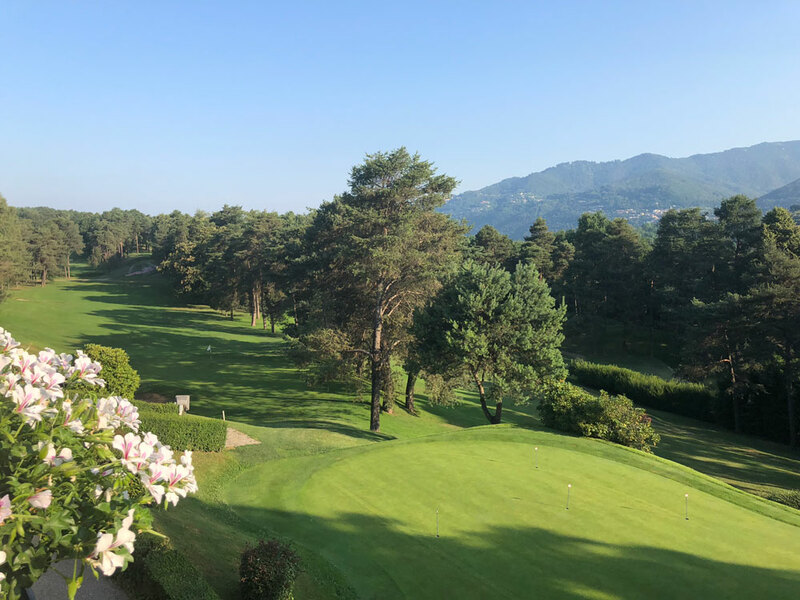 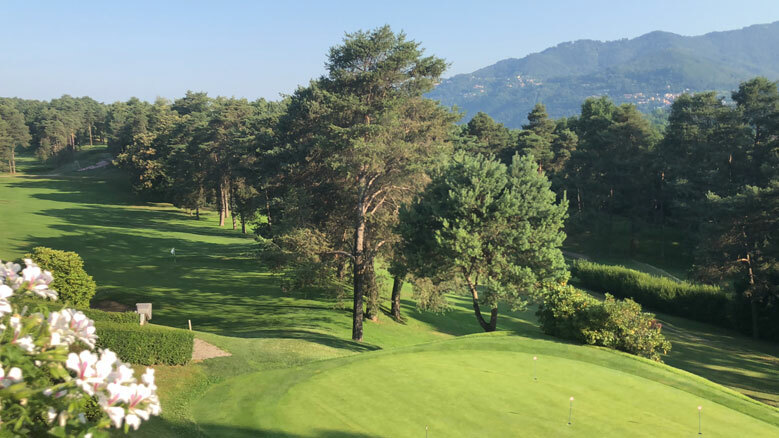 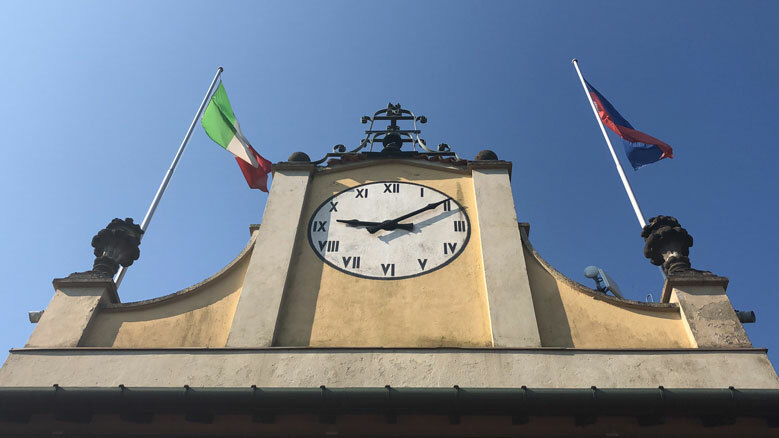 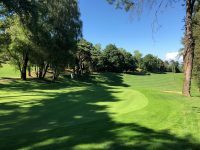 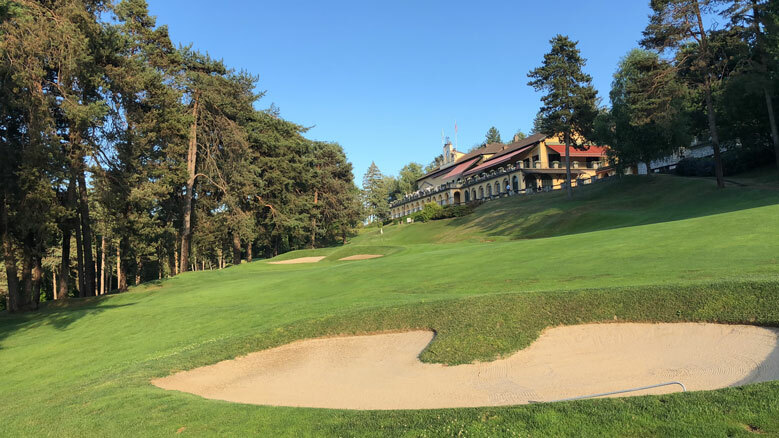 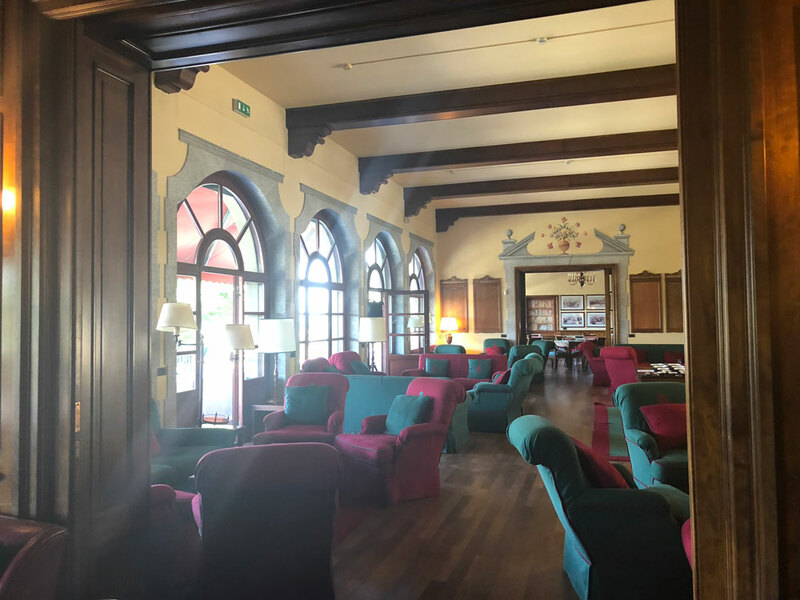 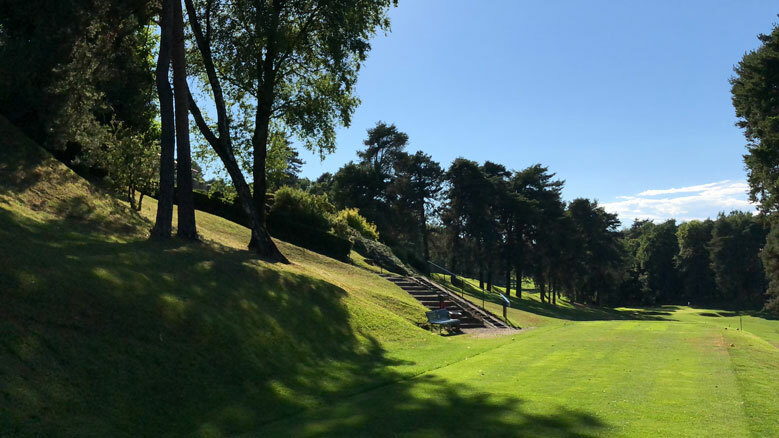 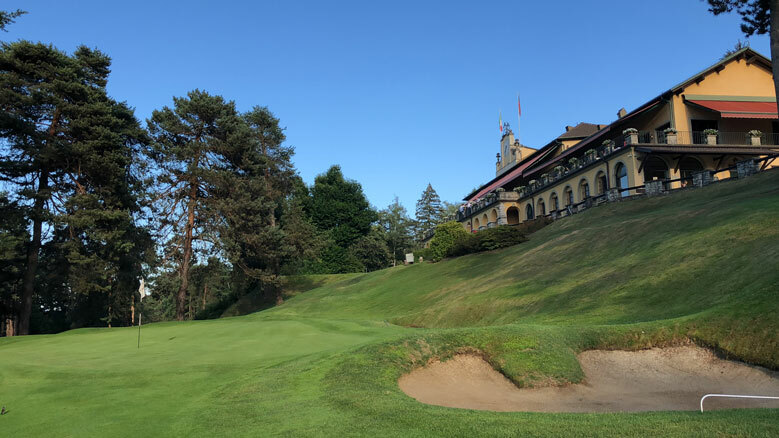 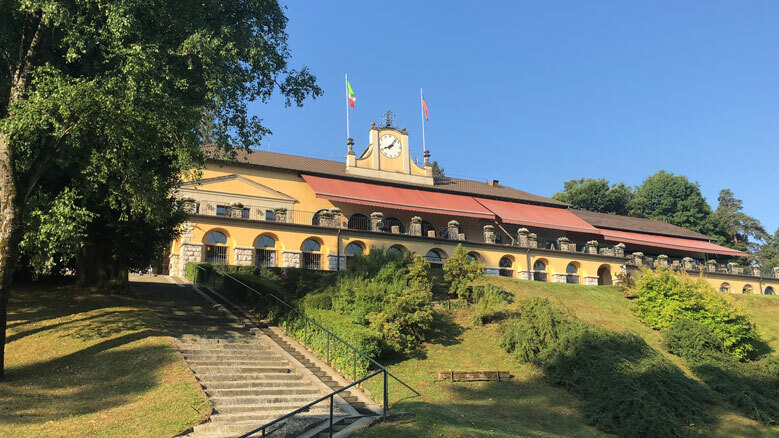 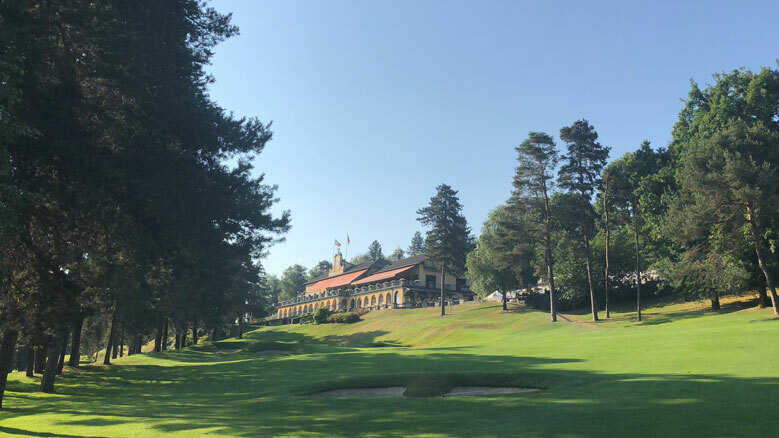 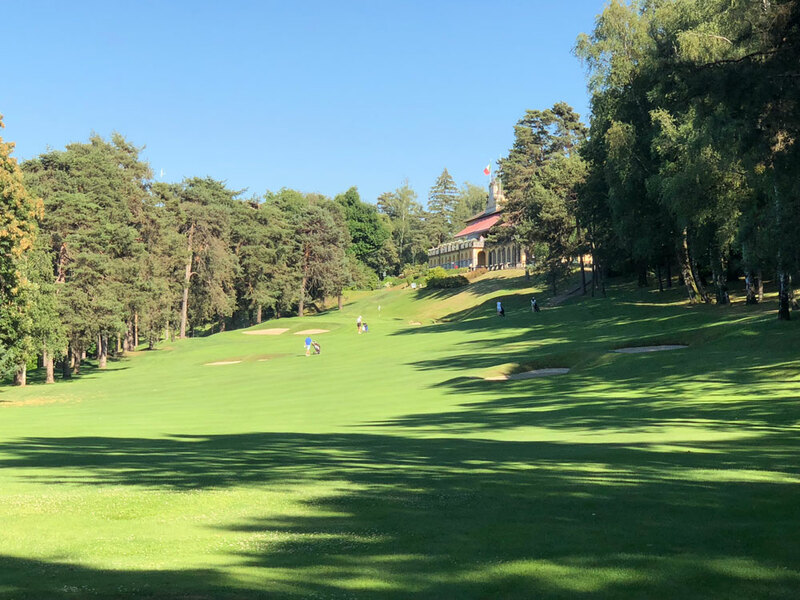 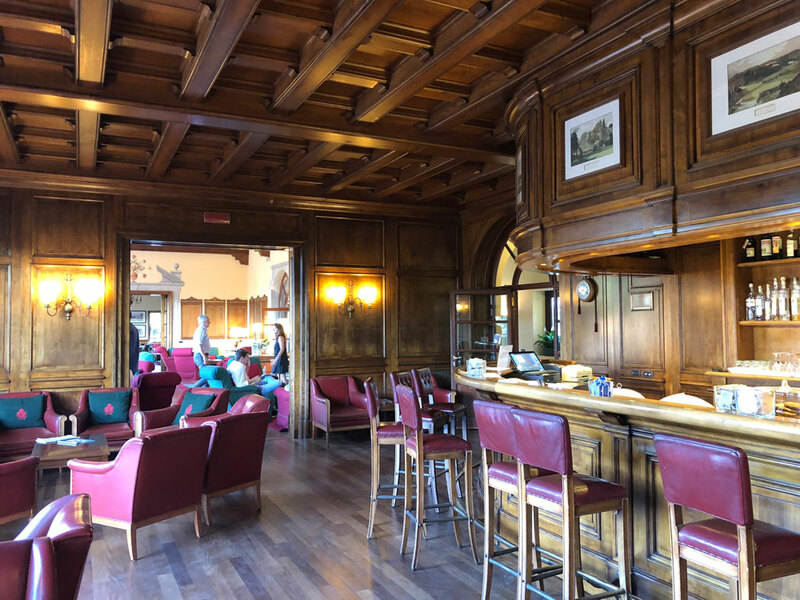 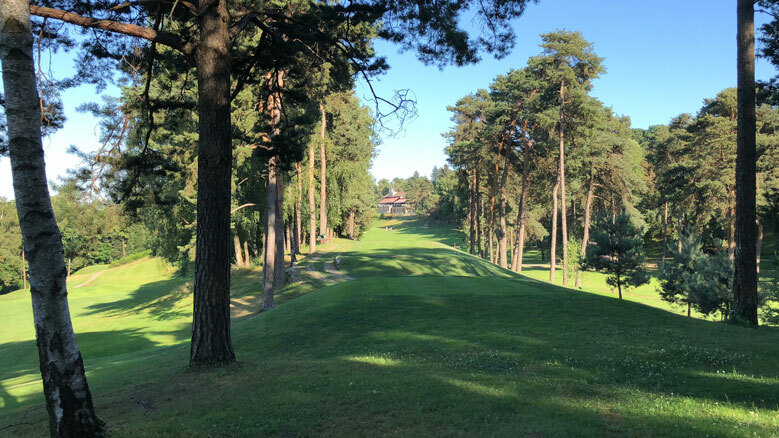 Villa d’Este Golf Club offers an experience so authentic and traditional, with the people so welcoming, that visitors are practically made to feel like “famiglia”! 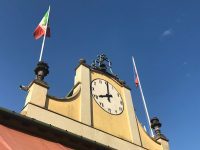 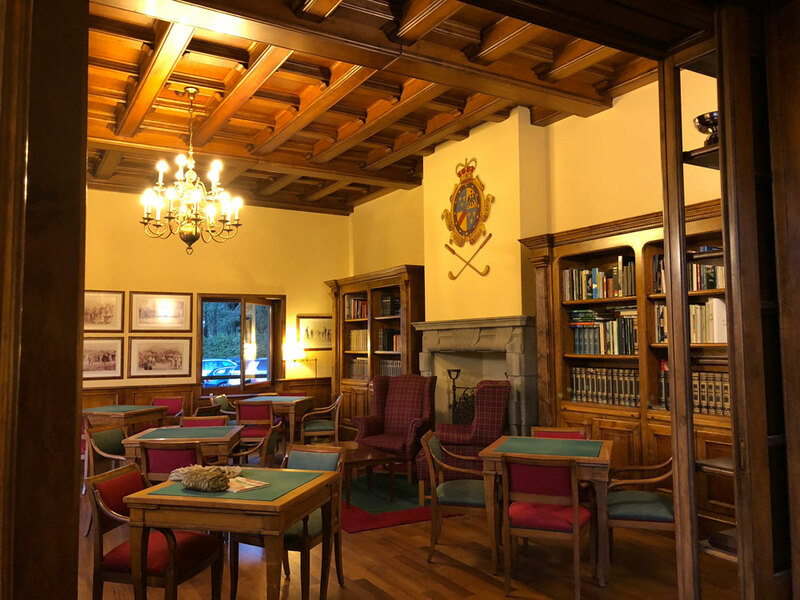 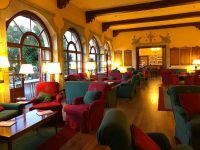 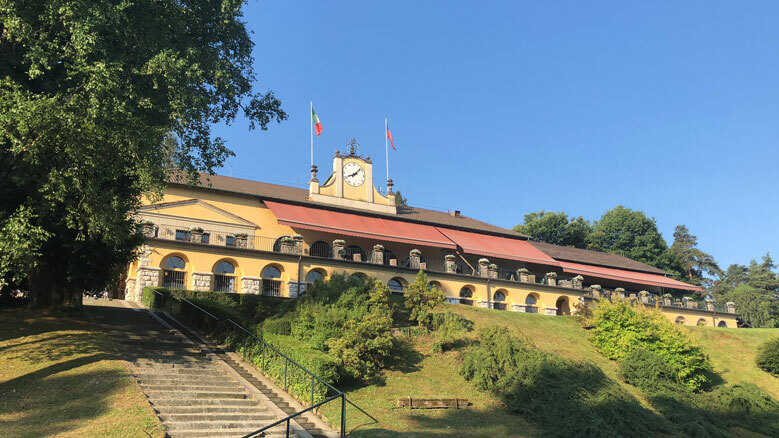 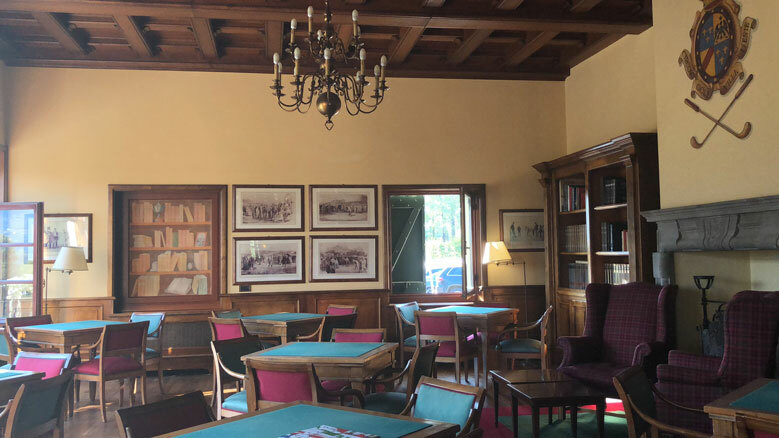 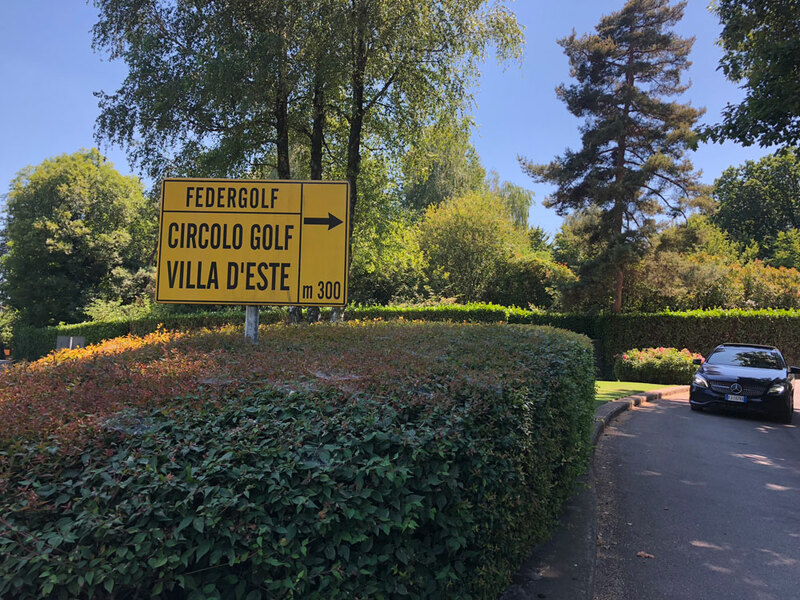 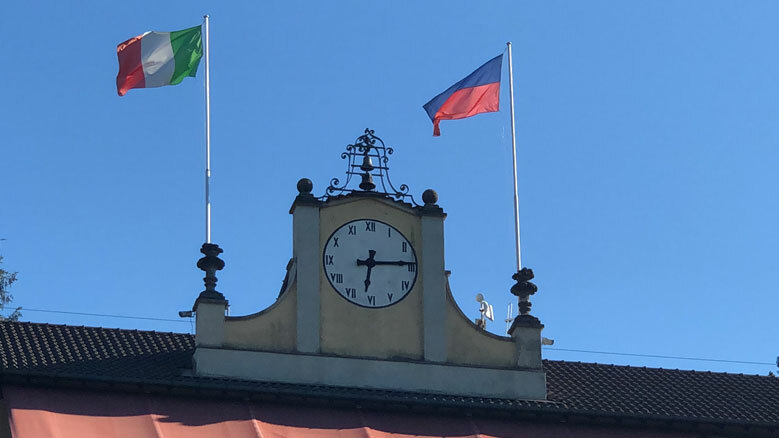 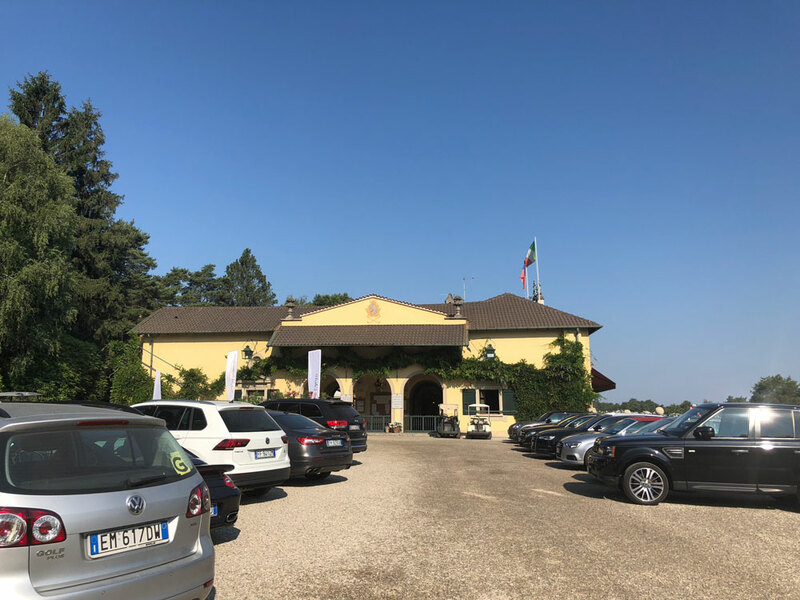 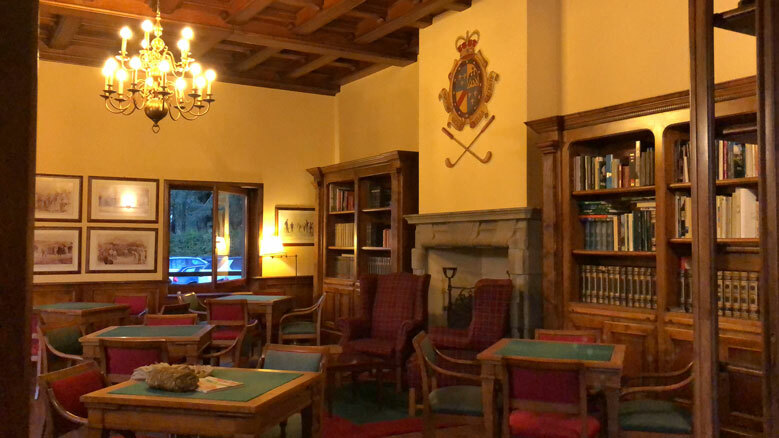 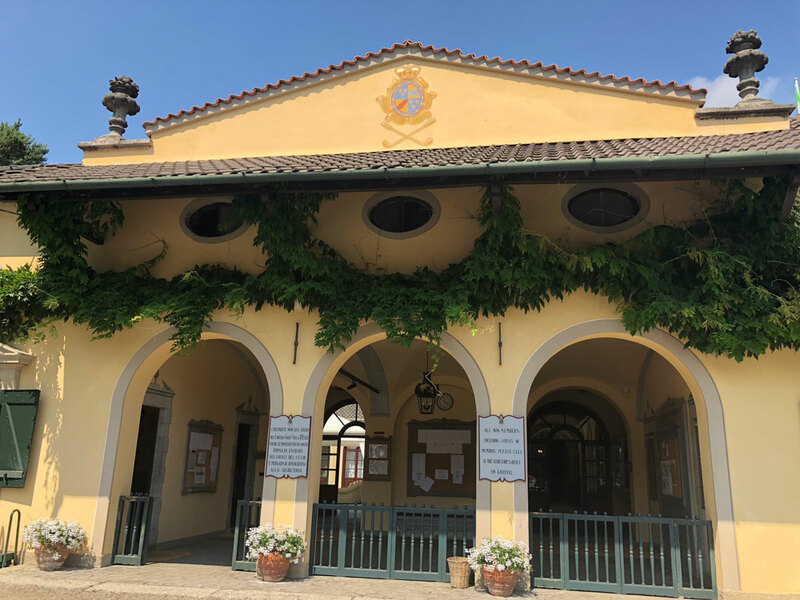 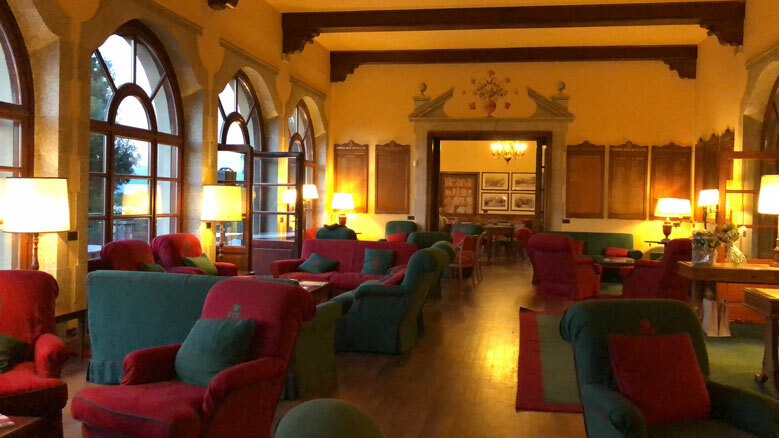 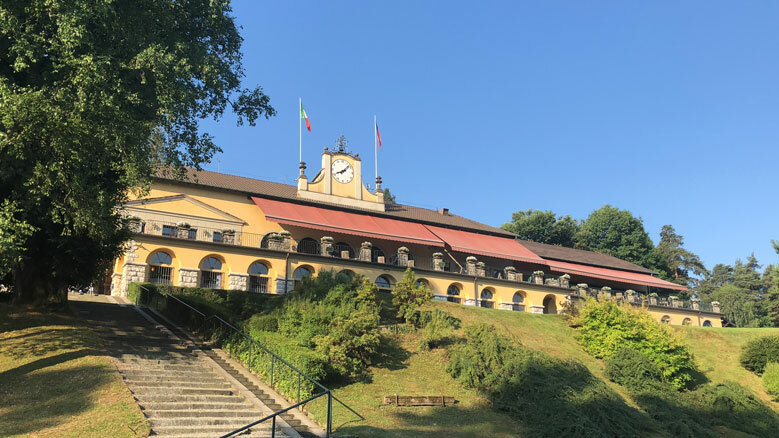 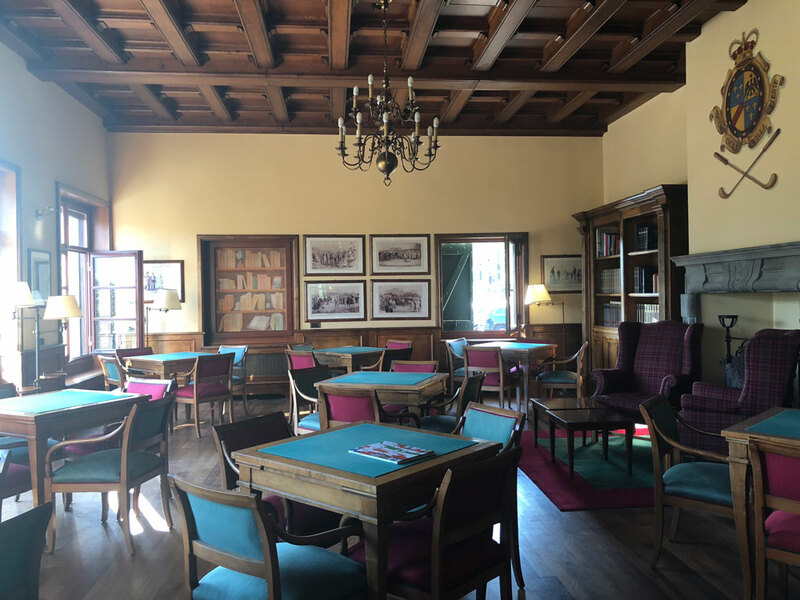 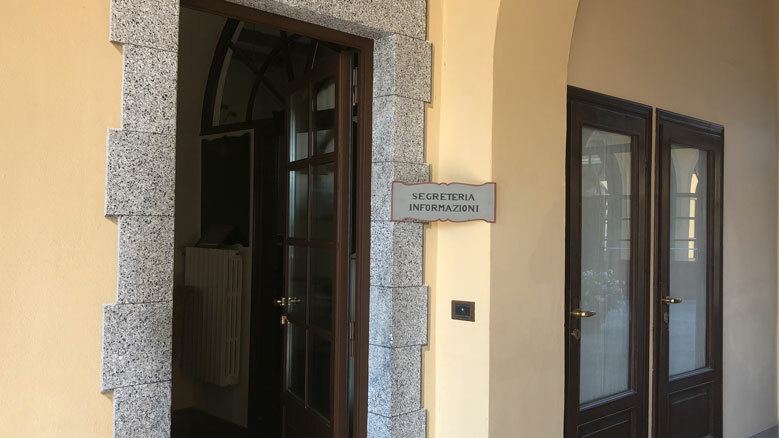 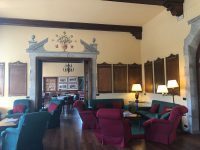 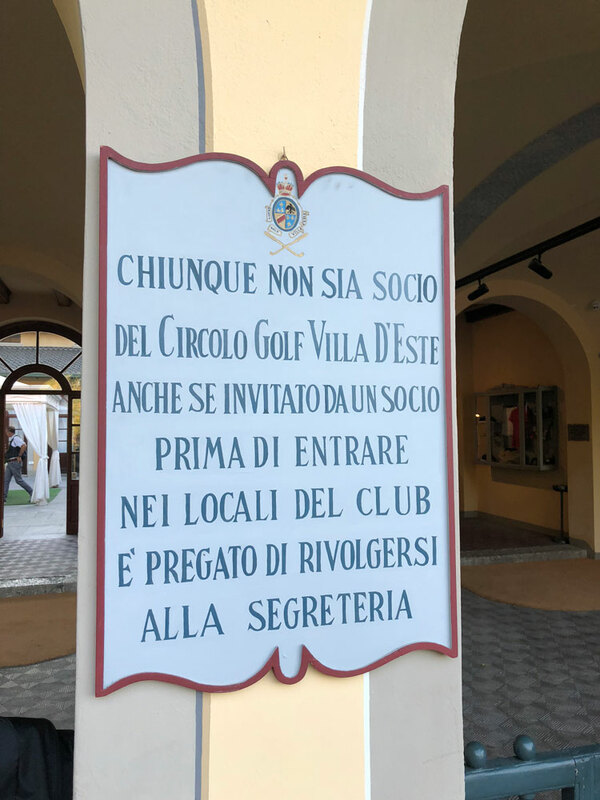 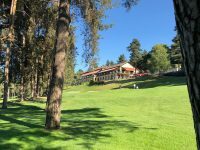 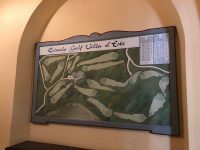 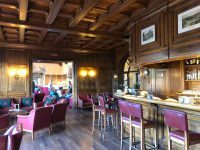 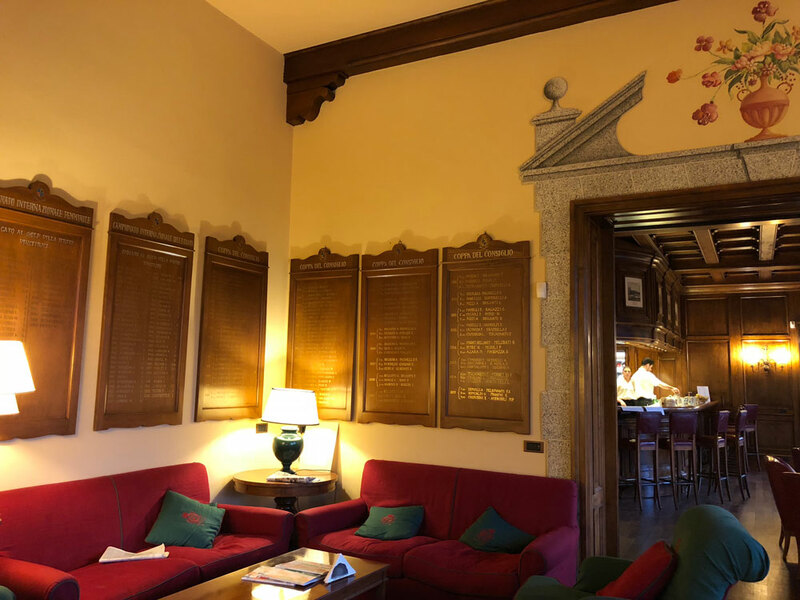 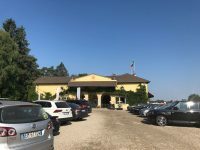 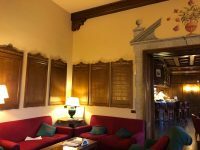 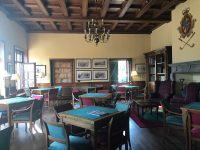 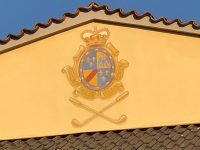 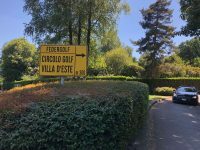 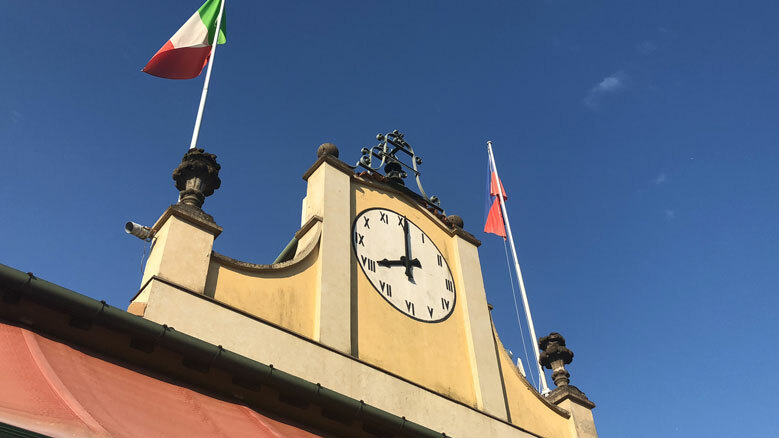 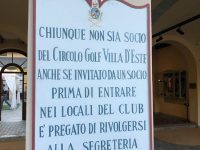 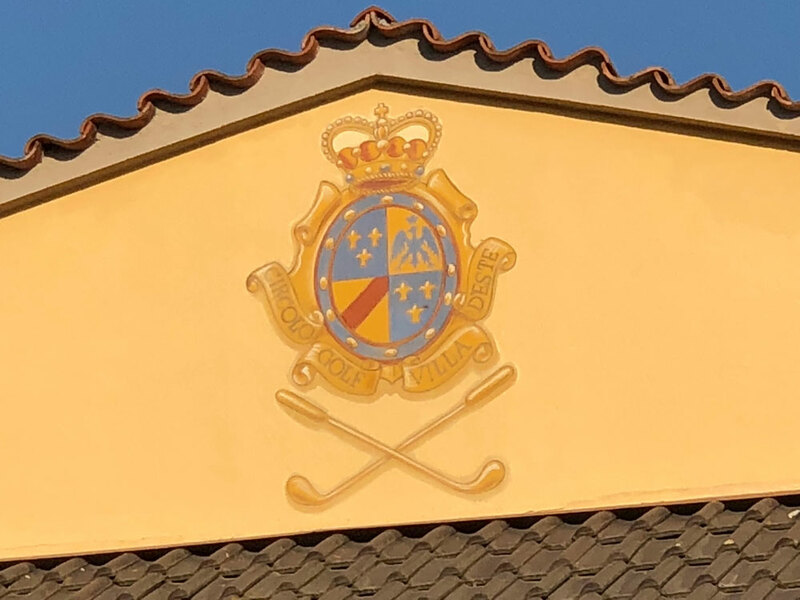 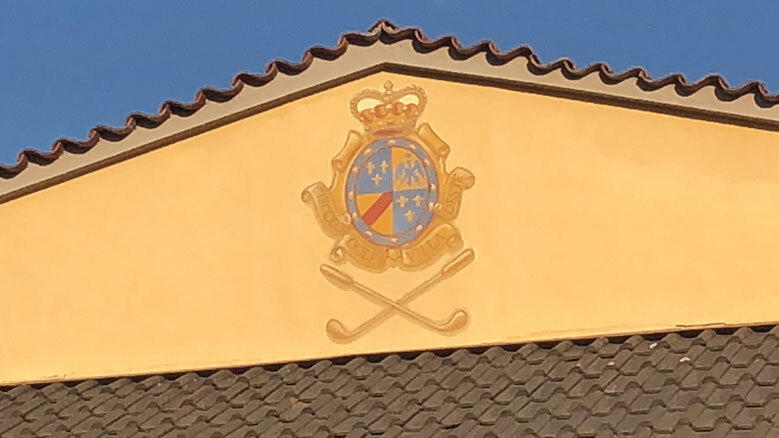 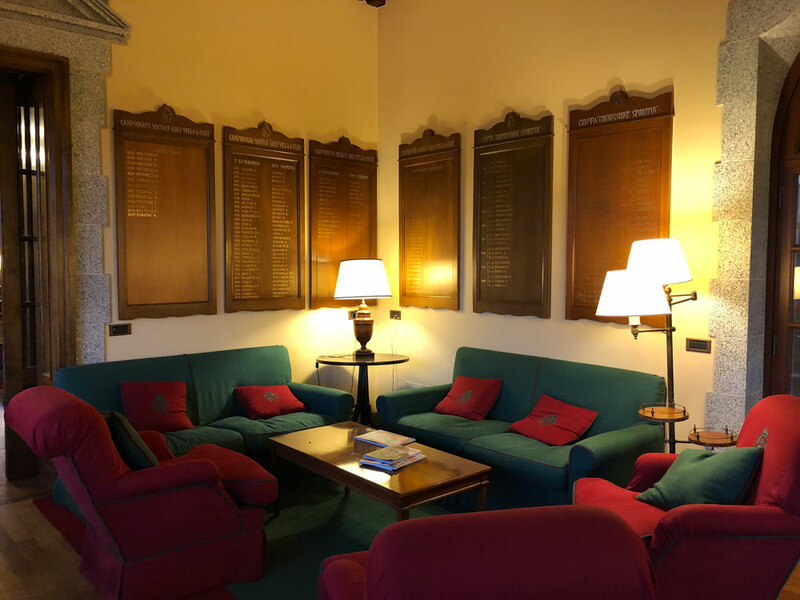 Yes this might mean that you will need to brush up on your Italian in order to navigate the signs and the dining menus for Villa d’Este Golf Club as this is a locals’ club. 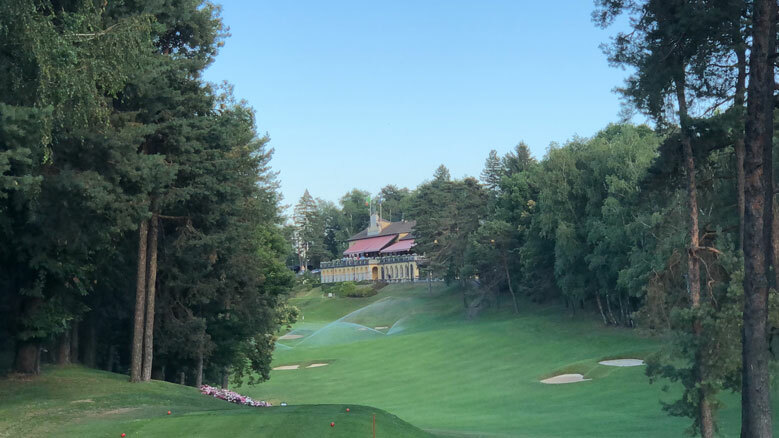 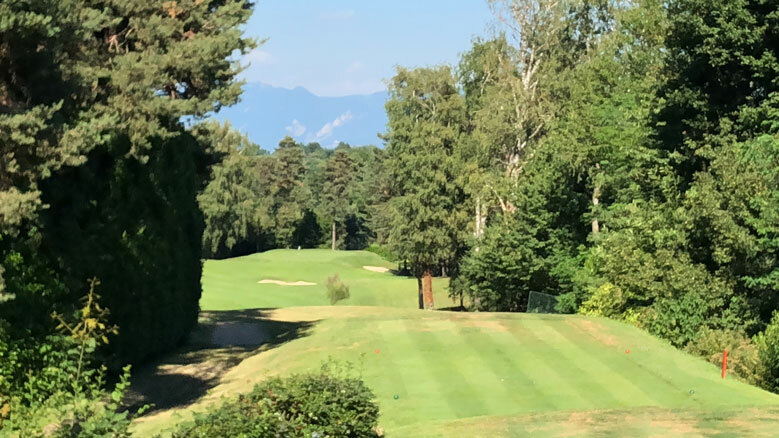 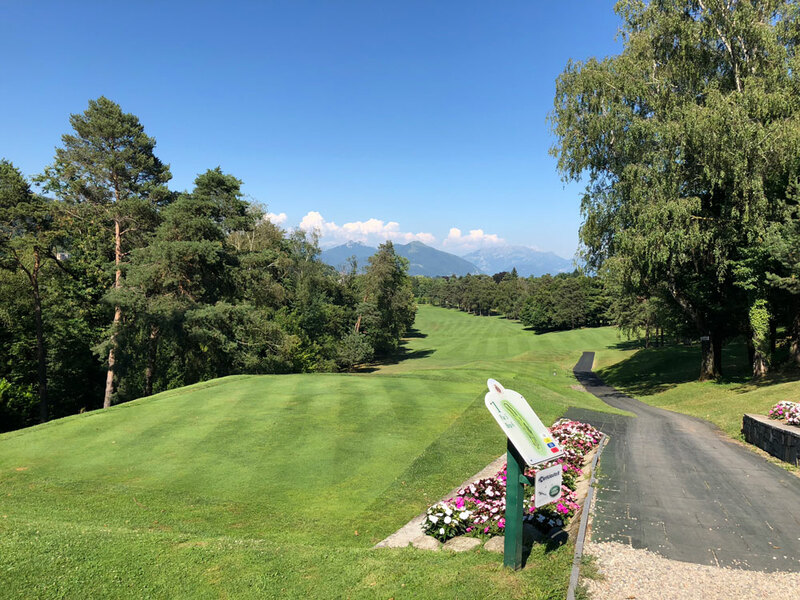 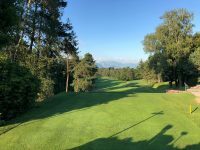 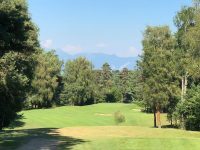 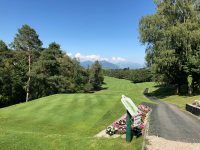 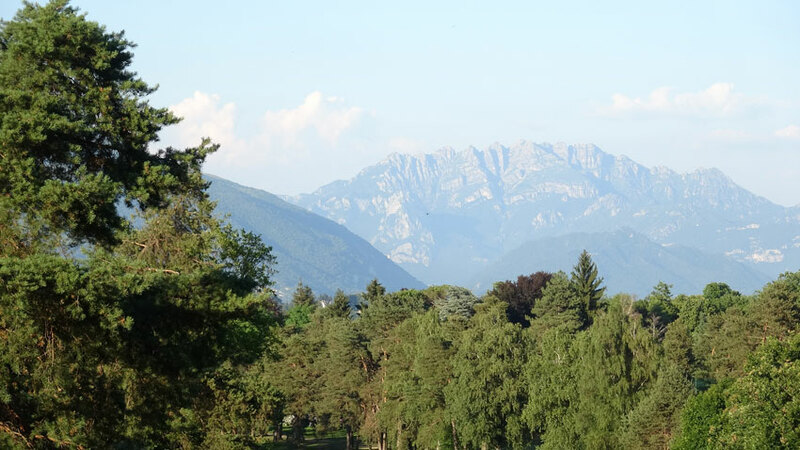 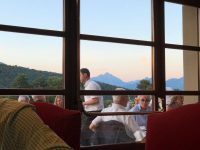 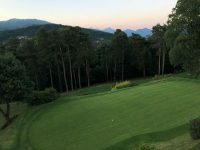 However nobody will think any worse of you should you need some assistance translating the dining options and a dinner on the club patio in the company of the members on a warm summer’s evening, with the distant Alpine peaks standing watch, is one of golf’s greatest experiences. 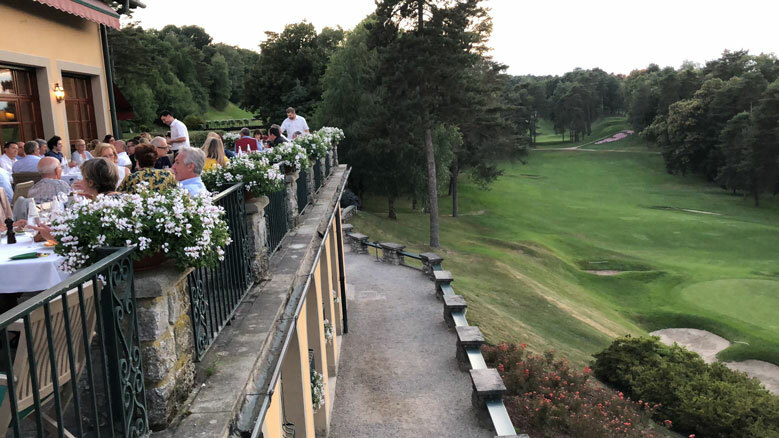 The patio overlooks the 18th hole which could well be the signature hole at Villa d’Este Golf Club. 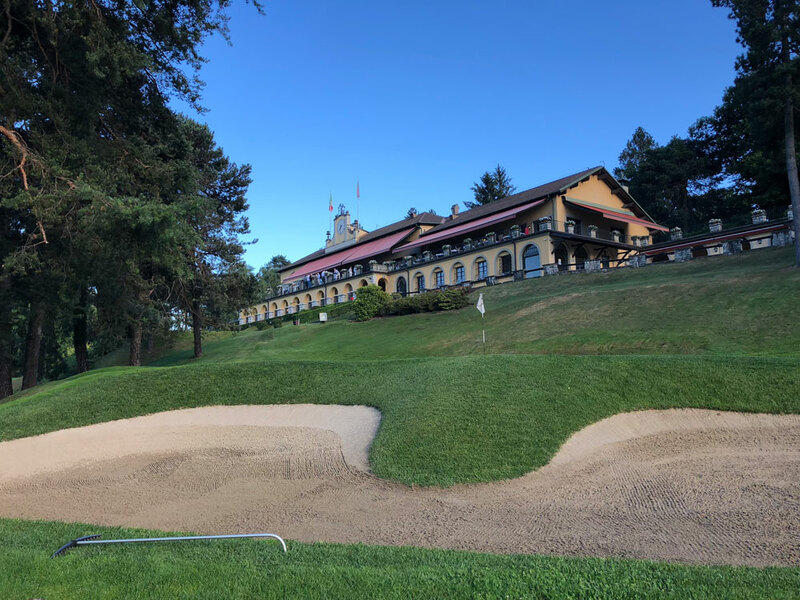 A short but attractive par 4, it calls to mind the 18th at the Olympic Club in San Francisco except that the classic Italian clubhouse is on the right side of the green rather than the left. 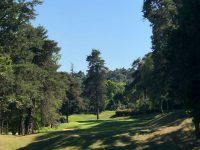 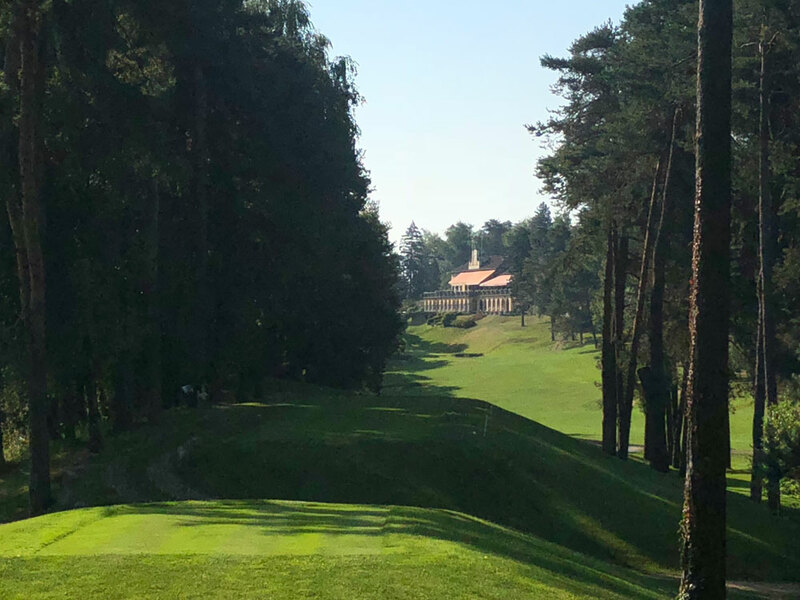 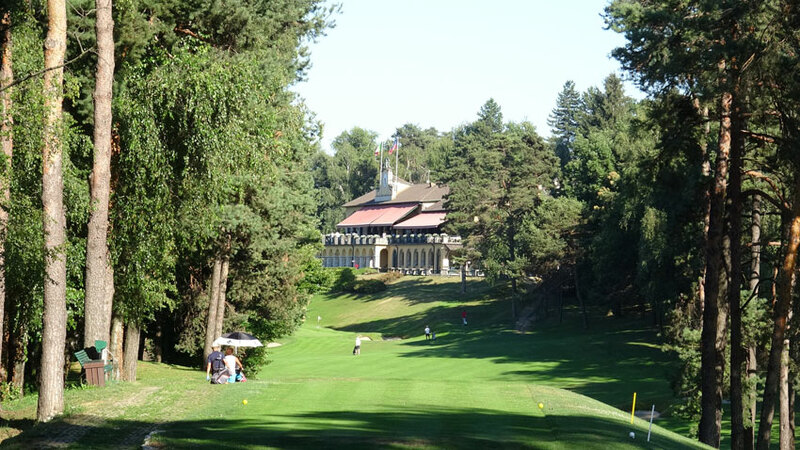 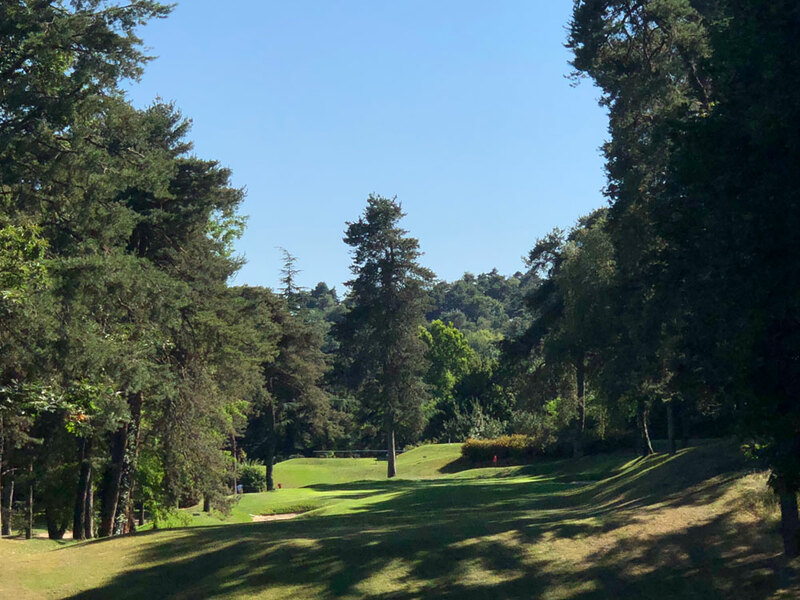 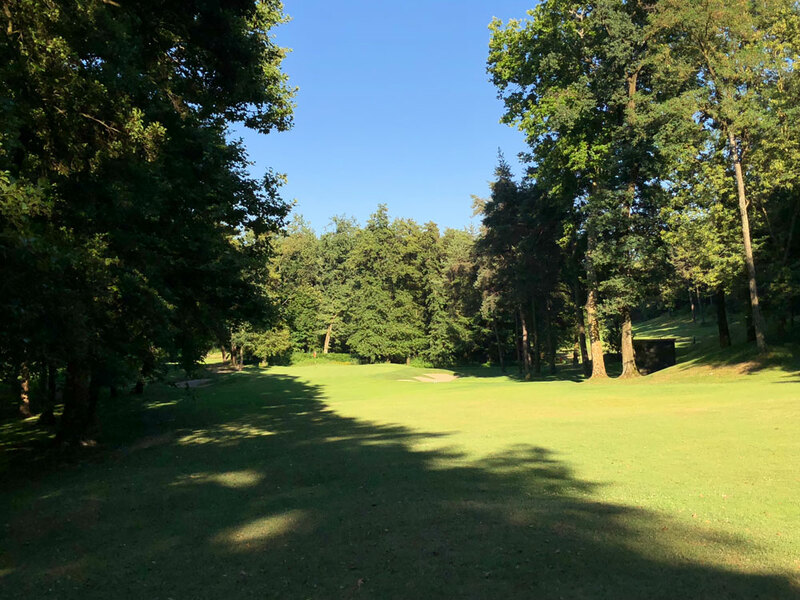 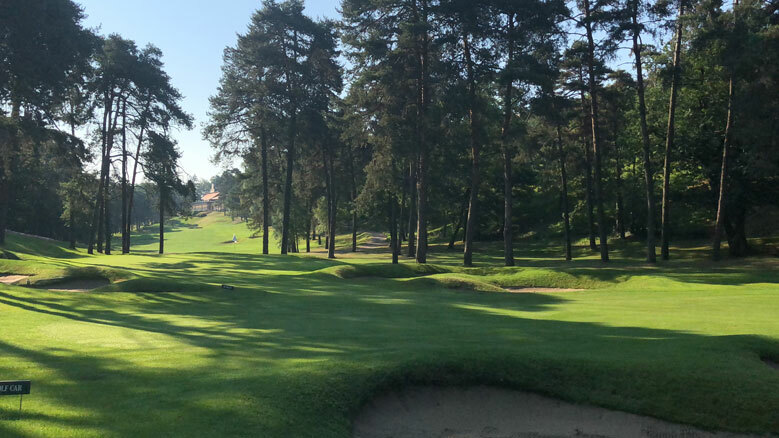 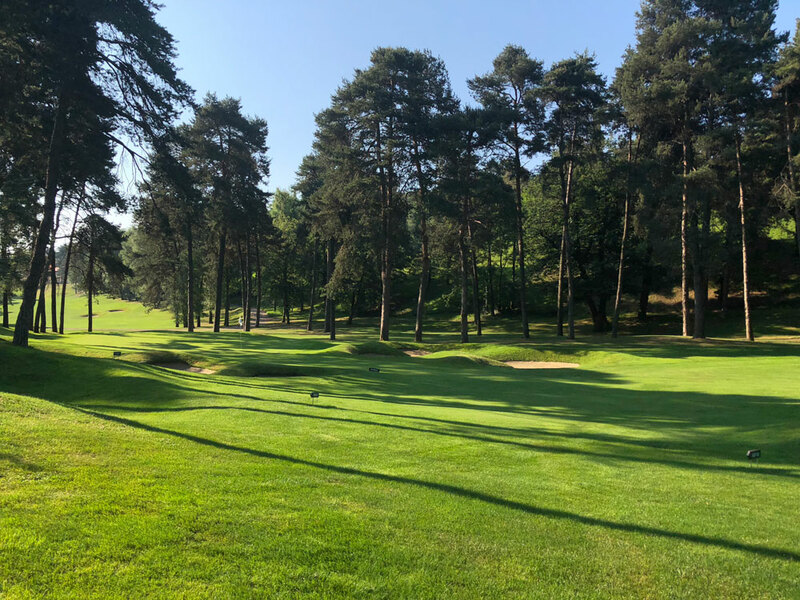 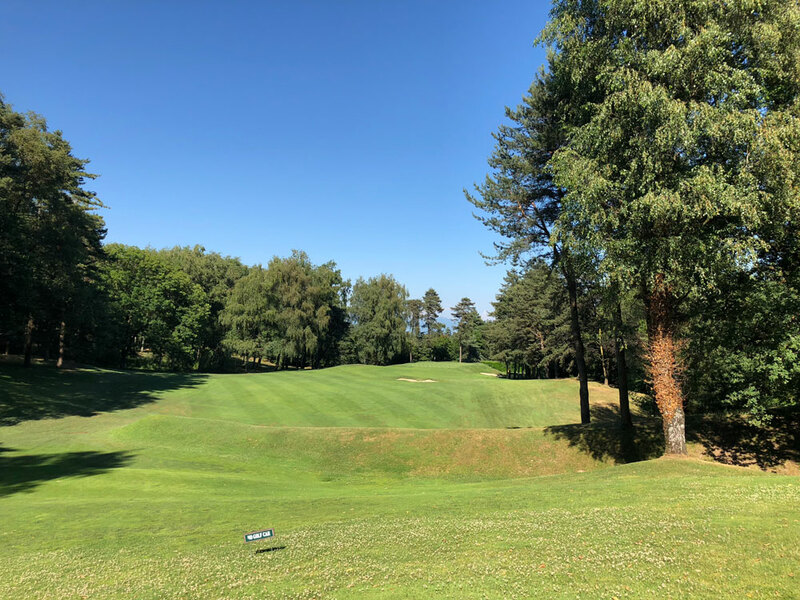 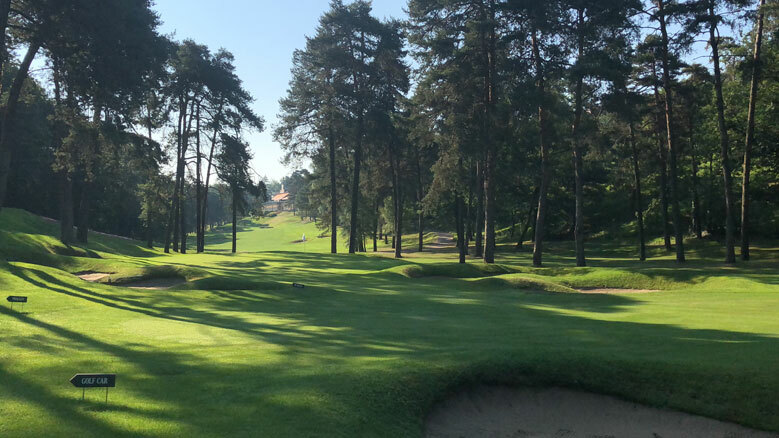 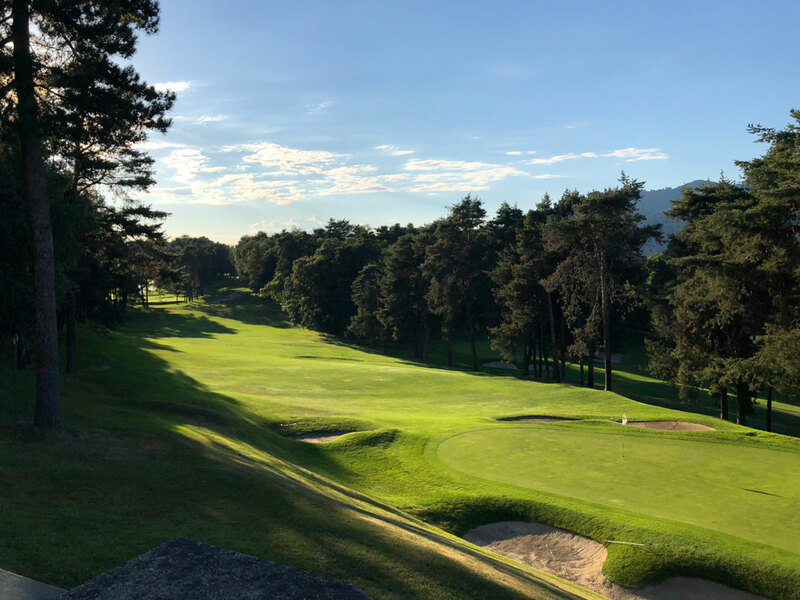 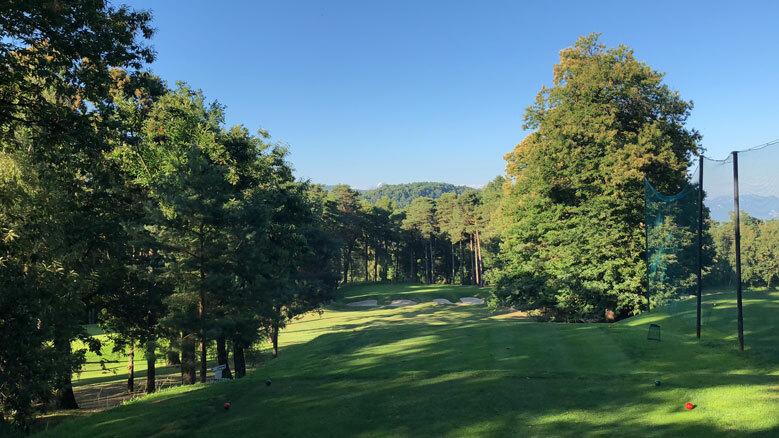 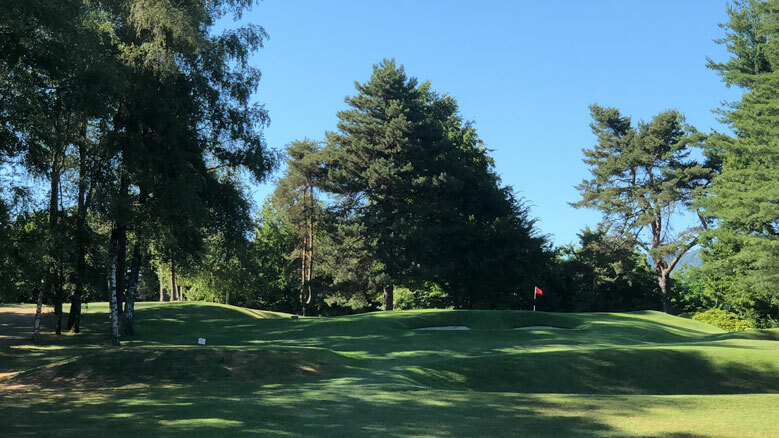 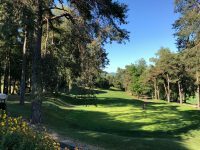 This hole would certainly be the signature hole on just about any other course but the first and fourth holes compete for that honor at Villa d’Este Golf Club as they head straight towards the majestic Alps. 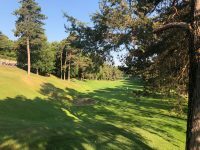 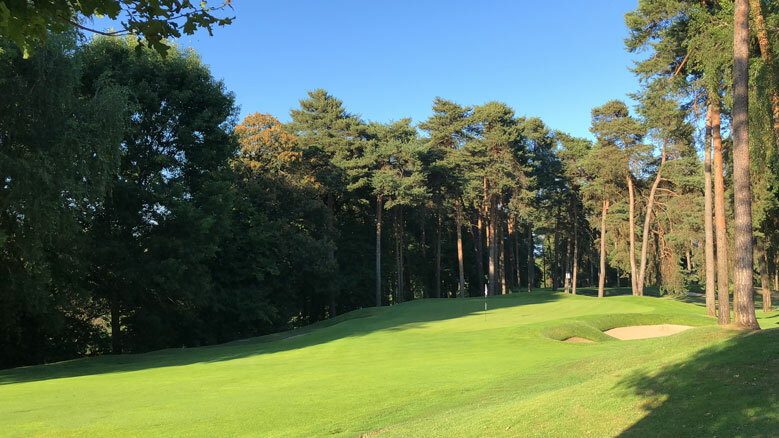 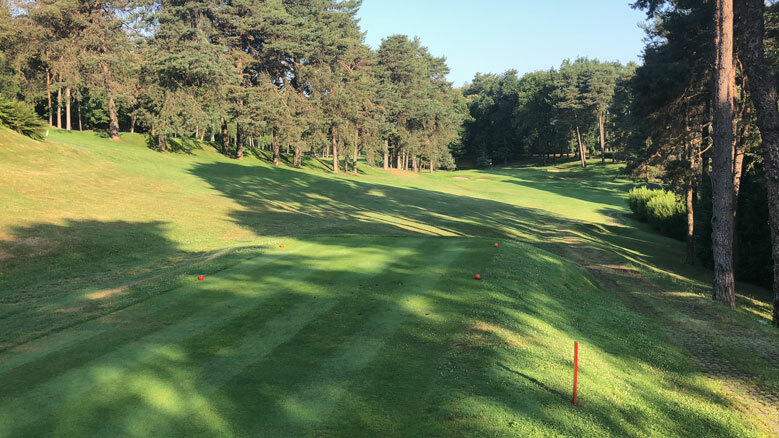 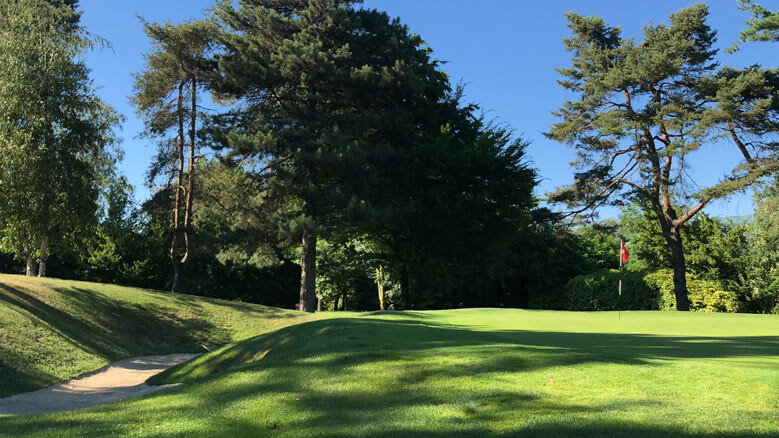 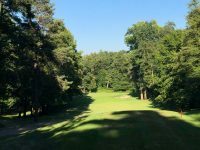 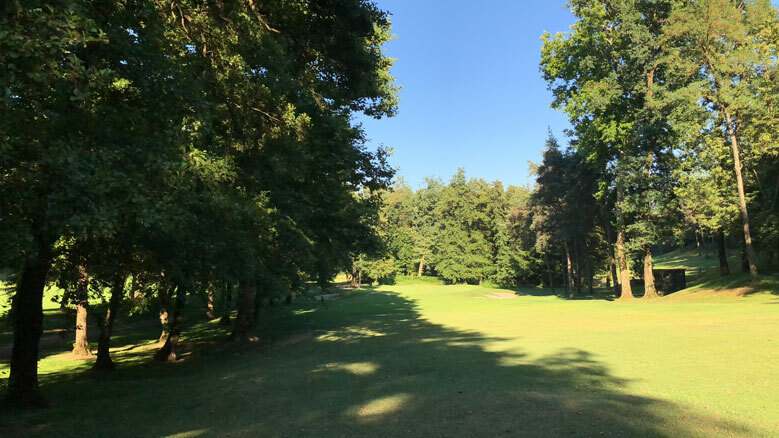 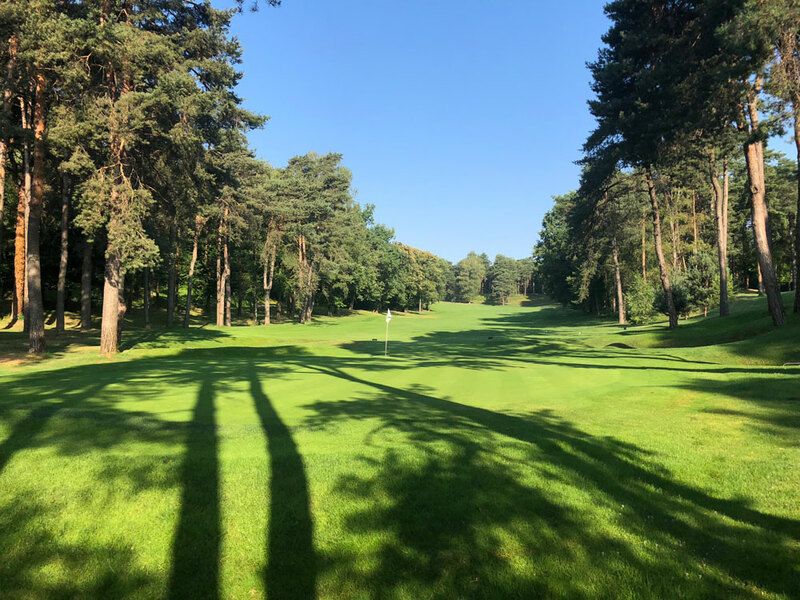 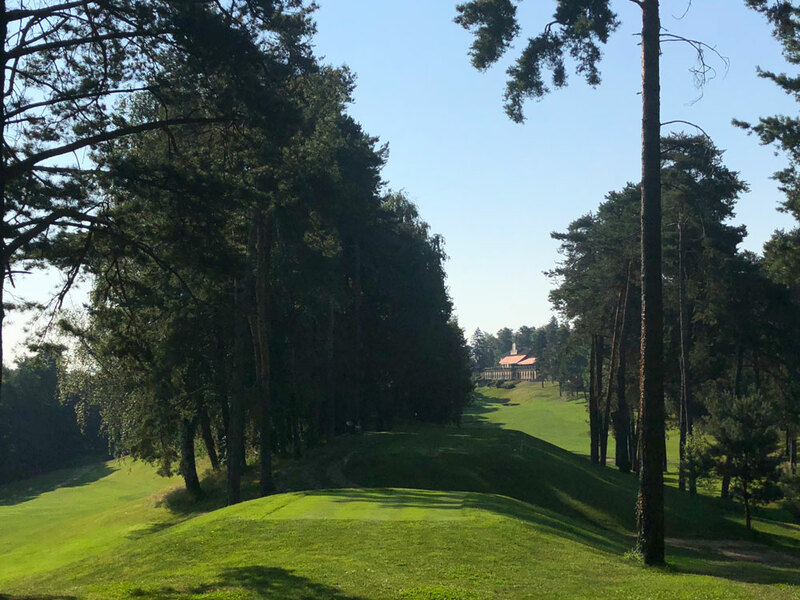 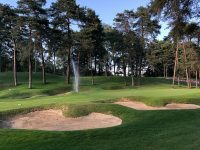 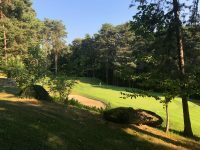 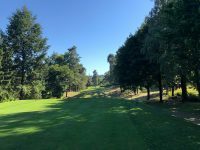 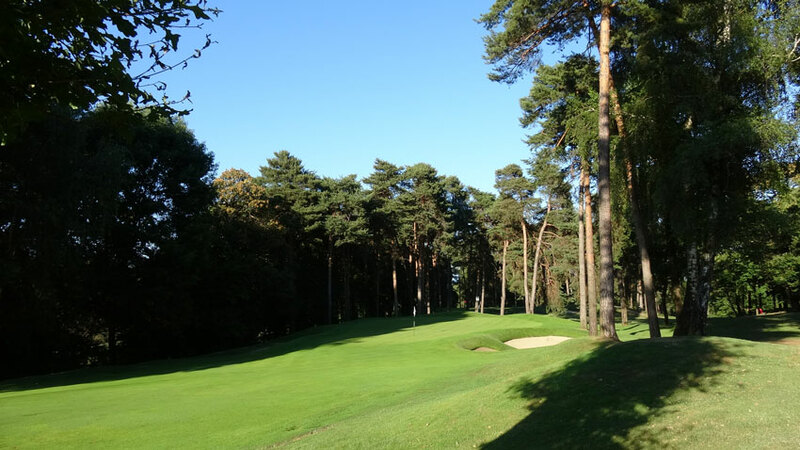 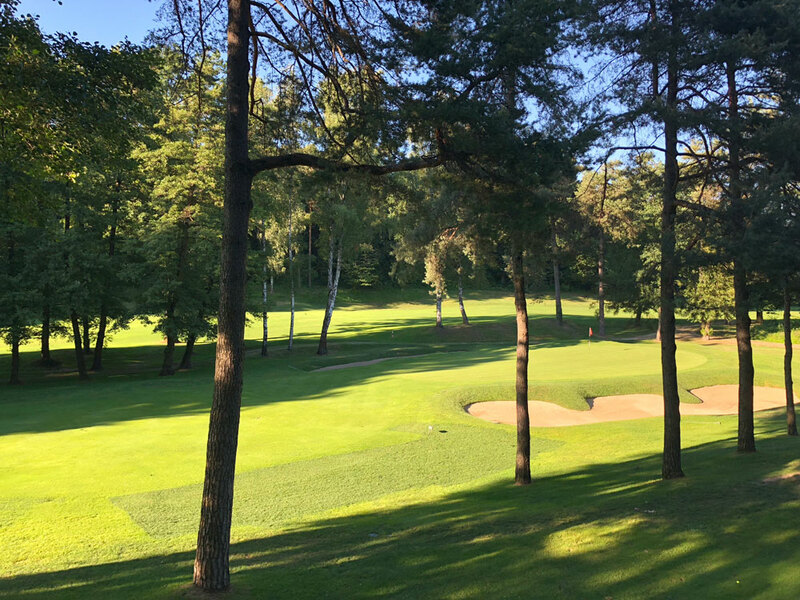 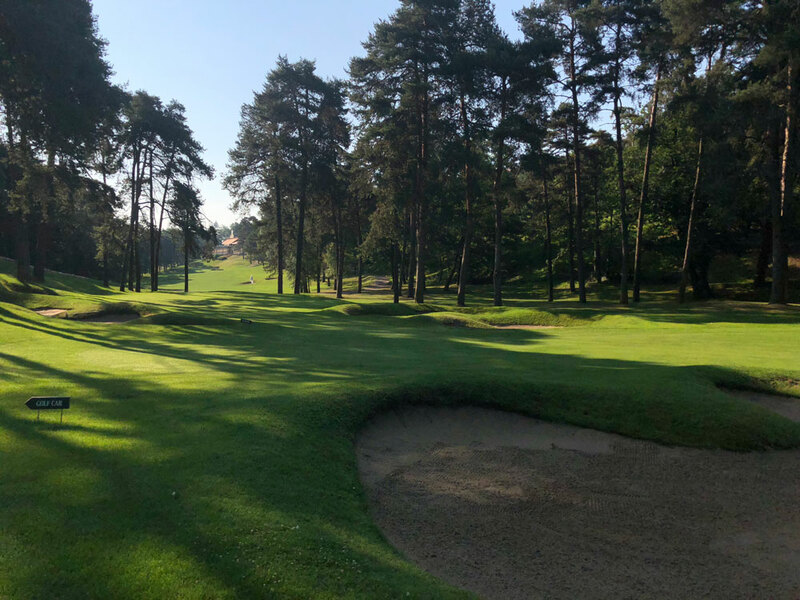 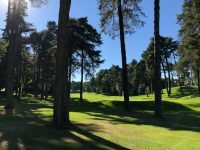 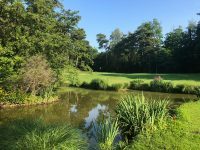 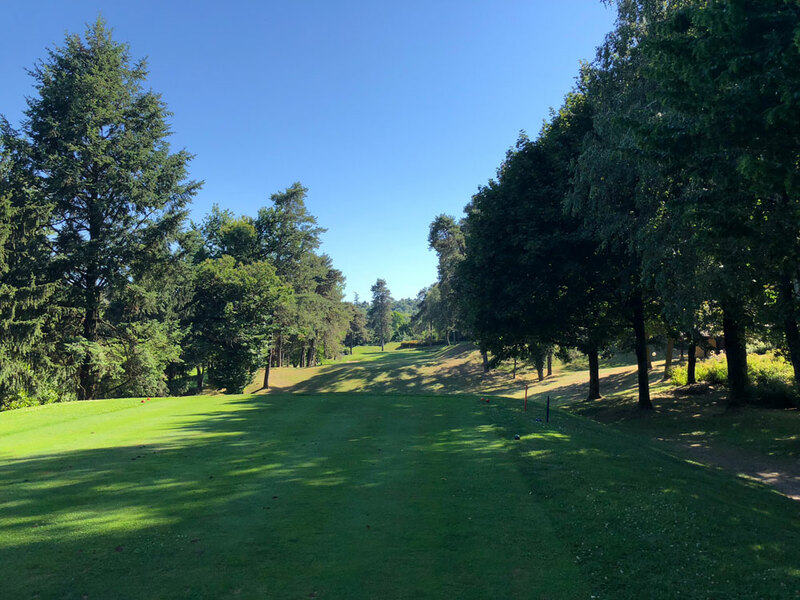 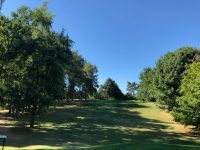 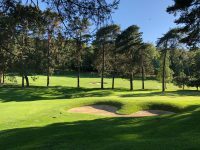 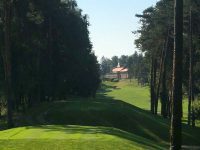 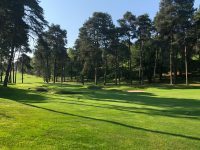 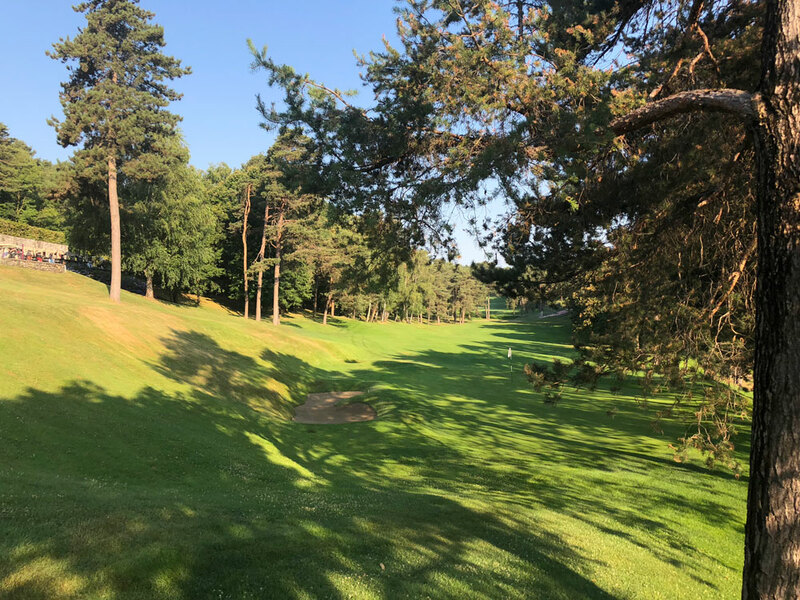 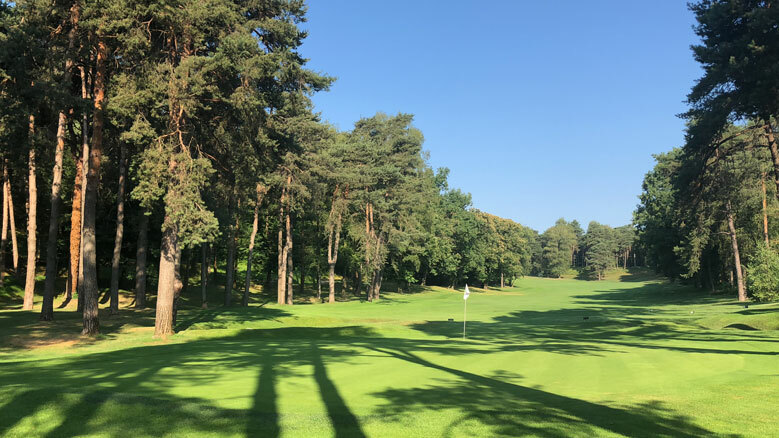 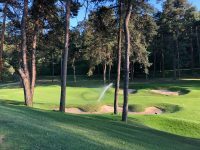 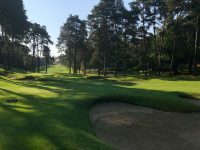 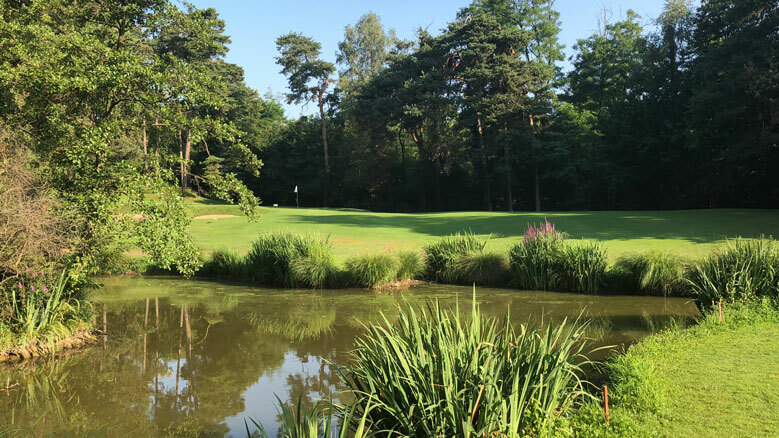 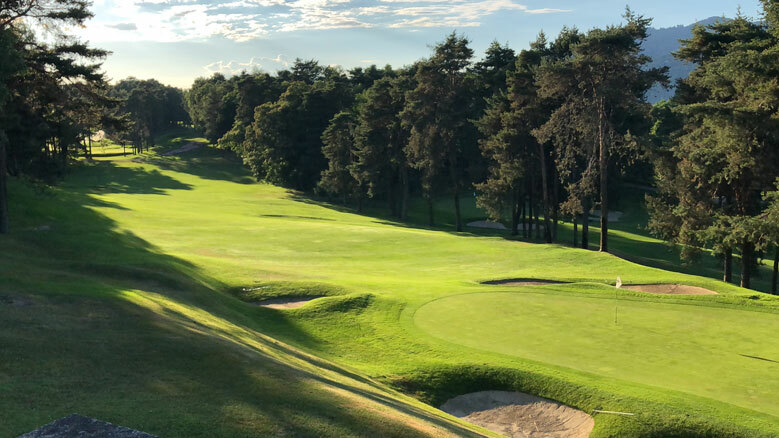 Most of the back nine heads into an historic forest for a completely different and unique feel and the 10th hole is another highlight, a tough par 3 from the base of the clubhouse heading towards the trees. 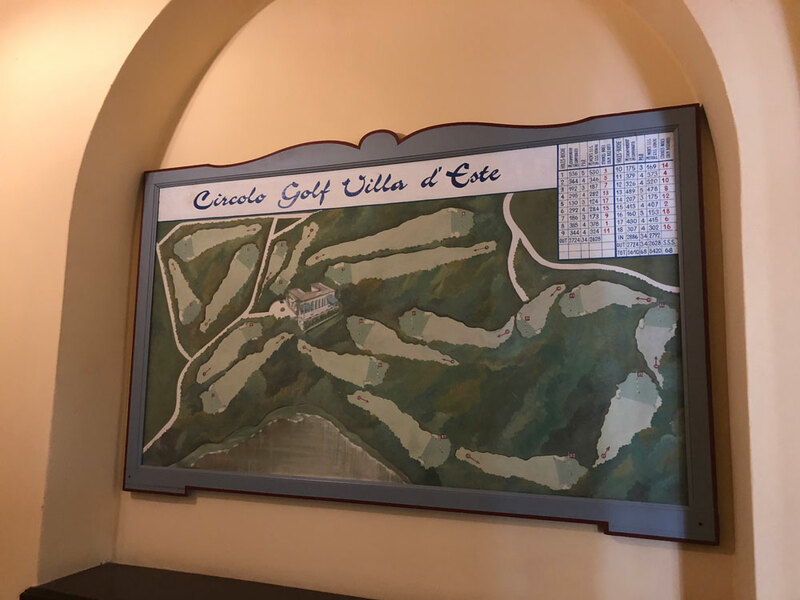 Circolo Golf Villa d’Este is the “trophy course” of any Italian golf tour. 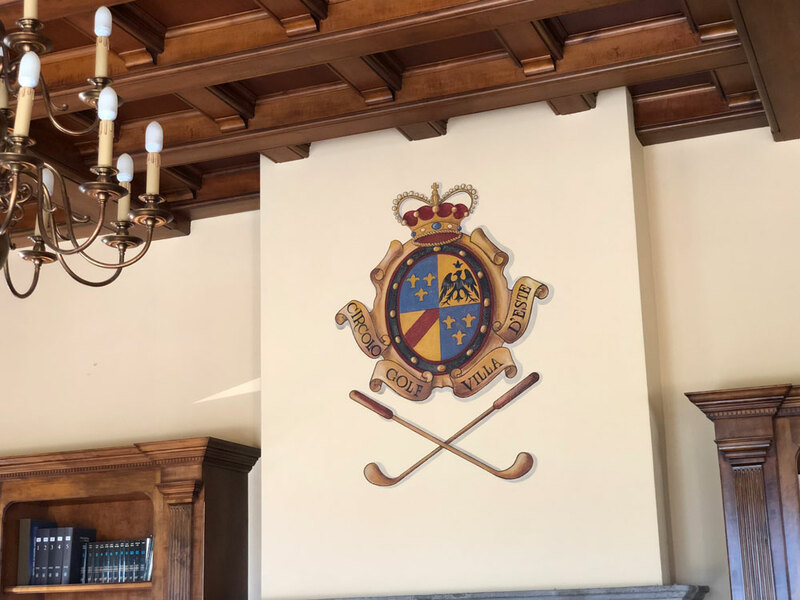 The well-stocked pro shop will send you home with some conversation-piece souvenirs featuring the very handsome club crest! 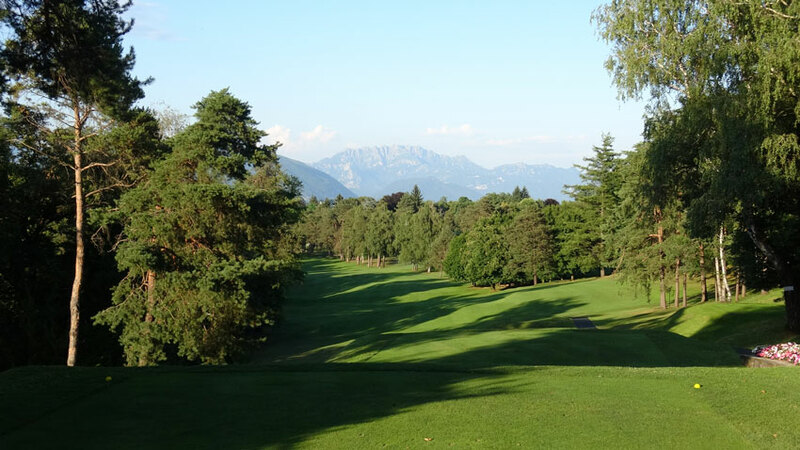 It’s the St. Andrews of Italy, a true bucket-list opportunity. A visit to Villa d’Este Golf Club is one to remember forever!